Tender and juicy Peruvian-style roast chicken with a spicy and addictive green sauce. This is my take on Pollo a la Brasa, the delicious spit-roasted chicken made popular by so many Peruvian restaurants. The chicken is first marinated in olive oil, lime juice, garlic and spices, and then oven-roasted until tender, juicy and crisp-skinned. The accompanying green sauce, which gets its color from cilantro and jalapeño peppers, is spicy, creamy and downright addictive. You can put it on virtually everything, and it even makes a fabulous dip or salad dressing. Before we get to the recipe, a few words on buying a whole chicken. In the poultry department, you’re likely to find birds labeled “broilers,” “roasters” and “fryers.” These labels are based on the weight of the bird, and are meant to suggest a method of cooking. This recipe calls for a four pound chicken, which is typically considered a “fryer.” This might seem strange since we’re roasting but don’t worry about it — all of these chickens can be used in recipes interchangeably. Begin by making the marinade. Combine the lime juice, olive oil, salt, pepper, sugar, paprika, cumin, and oregano in a blender or mini food processor. Using your fingers or a wooden spoon, loosen the skin over the breasts and legs of the chicken. Spoon 2/3 of the marinade under the skin. And rub the rest over top. Place the chicken in a bowl and refrigerate at least 6 hours or overnight. Preheat the oven to 425 degrees, and set the chicken on a rack in a roasting pan. I like to tuck the wings underneath the bird and tie the legs together so the bird hold its shape. Roast the chicken for 20 minutes, until the skin is golden, and then turn the heat down to 375 degrees and roast for about an hour and ten minutes more. Let the chicken rest, covered with foil, for about 20 minutes before carving. While the chicken marinates, make the green sauce (recipe adapted from the Serious Eats Food Lab by J. Kenji Lopez-Alt). Simply combine the mayonnaise, sour cream, cilantro, jalapeños, garlic, lime juice salt and pepper in a blender or food processor. And process until smooth. With the motor running, drizzle in the olive oil. It will seem thin at first but, don’t worry, it will thicken up as it sits. Transfer the sauce to a bowl and refrigerate until ready to serve. Garnish the sauce with a sprig cilantro, if desired, and serve with the roasted chicken. Note: The green sauce in this recipe is adapted from one of my favorite columns, the Serious Eats Food Lab by J. Kenji Lopez-Alt. Combine all of the ingredients except the chicken in a blender or mini food processor, and blend until smooth. Remove the giblets from the inside of the chicken and pat the outside of the chicken dry with paper towels; place in a bowl, breast side up with the legs facing you. Using the handle of a wooden spoon or your fingers, loosen the skin from the flesh over the breasts and legs, being careful not to tear the skin or push all the way through (you want the marinade to stay inside the bird). Spoon about 2/3 of the marinade evenly underneath the skin, and spread the remaining 1/3 evenly over the skin. Marinate the chicken in the refrigerator for at least 6 hours or overnight. Adjust the oven rack to the lower-middle position, and preheat the oven to 425 degrees. Line a roasting pan with aluminum foil for easy clean-up. Spray a rack (preferably a v-shape) with non-stick cooking spray and place the chicken on top. Tie the legs together with kitchen string. Roast for 20 minutes, until the skin is golden. Turn the heat down to 375 degrees, and continue to roast for about an hour and ten minutes more, or until the juices run clear when you cut between the leg and thigh. (Keep an eye on it -- if it's browning too quickly, cover it loosely with foil.) Tent the chicken with foil and let rest for about 20 minutes. Tilt the chicken over the roasting pan to release the juices, then transfer to a cutting board. Carve the chicken and serve with green sauce. Combine all of the ingredients except the olive oil in a blender or food processor and blend into a smooth sauce. With the motor running, open lid and slowly drizzle in olive oil. It will seem very runny at this point but, don't worry, it will thicken up as it sits. Transfer the sauce to a bowl, cover and refrigerate until ready to serve. Note: Be sure to wash your hands well after handling hot peppers, and do not touch your eyes while working with them. Note: The nutritional information does not include the green sauce. How long should I cook a three and a half pound chicken? Hi Lesley, the cooking time won’t be significantly different – it may take about 10 minutes less. Just check the chicken to make sure the juices run clear when you cut between the leg and thigh – when it does, you’re good to go. Hope you enjoy! Holy moly, this chicken (and its accompanying green sauce) were phenomenal. I followed the recipe to a tee (I like the try the “base” version first before I start altering! ), and wouldn’t recommend changing a thing. The green sauce is addicting and could easily be used for just about anything (salad dressing, vegetable dip, chip dip! ), which is great because it makes quite a lot. I served this dish with Jenn’s recipe for ‘Roasted Corn on the Cob with Lime-Basil Butter’ (also super easy and delicious) and a light green salad. Five stars! This is an outstanding recipe. The sauce is Devine and can be served with pork or steak. It’s time consuming but worth it. This was the very first Once Upon a Chef recipe I tried. I had eaten Peruvian chicken for the first time several years ago and was so in love with it. I found this recipe and it was perfect! Even as a local I got accolades from my Hispanic co-workers on this dish. Phenomenal. Delicious!! I made a dry rub using only the dry ingredients (no olive oil or lime juice), no sugar, and garlic powder instead of cloves, simply bc I did not have any on hand. Rubbed inside, outside and under skin and marinated overnight. Just made this tonight with the Mexican rice and green beans.Itwas absolutely delicious! 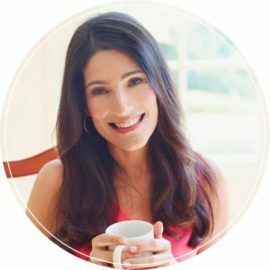 I have been using your recipes for past couple of years and have NEVER had anything that wasn’t delicious.Thank you for such fabulous recipes…I’m always giving ur website to friends and family. Jenn — will I ruin your amazingly perfect recipe if I omit the sugar from the marinade?! I never have in the past — I make this all the time and it’s such perfection I hate to mess with it. I also know the sugar is so minimal but I’m following a strict diet plan. Should I replace with anything else or do you recommend just following all other seasonings? Thank you again!! Hi Tara, Hope I’m not seeing this too late! I’d keep the initial time the same and just add more on th back end. Hope everyone enjoys! This was absolutely the best chicken my family and I have ever had! Thank you. Hi Jenn, we absolutely love this recipe and the sauce is addictive! I’m having family over for dinner tomorrow and would like to use this recipe with Cornished hens. Do you think this will work? Thank you so much for these exciting delicious recipes! Glad you enjoyed it, Mary! I do think it would work nicely with Cornish hens. Sorry, I forgot to ask, what temperature should I bake/roast them at? Thanks for your prompt response, I appreciate that! My pleasure, Cyn! I’d bake them at 375 degrees. I adore this recipe, thanks Jenn!!!!! I have made it several times, whole bird & pieces and it comes out so juicy & delicious every time! today I am marinating boneless/skinless thighs (bought by accident : / should i shorten marinade time? what is your recommended cooking time? thanks again! Hi Cyn, glad you like this! I don’t think you need to shorten the marinating time, but I would cut the cooking time back. I’d check them for doneness at 35 – 40 minutes. This looks fabulous! Should I make any changes if I use my barbecue rotisserie rather than roasting it in the oven? Hi Jenn, No changes necessary – enjoy! I have been trying to find the green dipping sauce recipe for the “Chicken Place restaurant” in Falls Church, VA. I have tired some recipes, and I think this one is what I was looking for! Thank you so much! This is one of my husband’s favorite meals, but I like to use boneless skinless thighs instead of a whole chicken, and broil until they’re done. We also have used leftover sauce as a dressing on a salad of spinach, quinoa, roasted sweet potatoes, and avocado, and it was delicious. Do you have to grill the chicken? also have you ever used soy sour cream for the sauce? The weather is a bit bad and will have to sit in the oven for a bit before I serve that is why I am asking. I also have a indoor grill pan do you think that would work? Hi Jana, This recipe actually calls for roasting the chicken in the oven. Are you thinking of another recipe? This recipe alone was worth the price of the cookbook. I marinated chicken breasts and grilled them. Made fantastic chicken tacos with the green sauce, cilantro/lime rice and fresh avocado slices. The delicious chicken is just the beginning of what makes this a wonderful recipe. The sauce (I always make extra) enhances vegies and other meats just as well. This recipe is a keeper! Made this for dinner tonight. I marinated it overnight. It was excellent served with Mexican Rice and some broccoli. Great neal. Do you think I can make this on a tray of wings? I worry about the marinade burning from cooking them for a long time. Hi Saimi, if you’d like to use this for wings, you can oven roast them; I’d put them on a rack over a cookie sheet at 400° for approximately 50 minutes, flipping halfway through. I’d love to hear how they turn out! They turned out perfect!!! Did not burn the slightest bit. They were ready in just under 40 minutes! Thank you so much!! I also made the dip and it was a hit people kept adding it to their plates. Could you please let me know the pound of chicken used? Thanks! Hi Csb, the recipe calls for 4-pound chicken. Enjoy! Hi Mary, I think the sauce is definitely best with fresh jalapenos, but that the jarred ones would probably work in a pinch. Please LMK if it tastes much different! I’m thinking of using just drumsticks and serving at room temp with the sauce as a dip for a pot luck party. What do you think? Any suggestions? Love that idea, Bonnie. To cook the drumsticks, I recommend this method: Preheat the oven to 450°F. Line a baking sheet with heavy-duty aluminum foil (for easy clean-up) and set an oven-proof rack over top. Spray the rack with nonstick cooking spray. Arrange the drumsticks on the rack, leaving a bit of space between the pieces. Roast for about 45 minutes, turning once midway through, until the chicken is golden brown and cooked through (be sure to turn on your exhaust fan as the oven will get a little smoky). If you want to crisp the skin further, broil the chicken about 6 inches from the heat source for 3-5 minutes. Hope that helps! We made this with a whole chicken and it was amazing! I know it’s blasphemy but we don’t care for thighs or legs, so those just go to wasted. We have 4 huge, bone-in, skin on chicken breasts. Any tips on how to adapt the cooking time? Not blasphemy – just personal preference! 🙂 For the breasts, I’d roast them at 450 degrees for 35-40 minutes, or until the skin is golden brown. Turn the heat down to 375 degrees; continue to roast for 15-20 minutes more, or until done. It should be done in less than an hour- be careful not overcook. (Also, place the chicken pieces on a rack so the skin crisps up.) Enjoy! I have made this chicken several times. I always marinate it the day before I am going to cook it. The green sauce is delicious, but my family prefers the chicken by itself. The chicken is SO delicious! Much better than store bought rotisserie chicken. For me, however, the green sauce had either too much mayonnaise or sour cream. I will try to make adjustments next time. But, the chicken is delicious without sauce. I have made several recipes from this website: appetizers, salads, dinners, desserts and I have never been disappointed with the results. Although it is difficult to choose a favourite, I have to say that this Peruvian chicken recipe is superb. I have made it several times and it always turns out delicious. The tip about the jalapeños is great, adding the flavour without the heat 👍. As suggested, I paired it with the Mexican Rice Pilaf and the dishes work beautifully together. Highly recommend!!! This is by far my very favourite recipe on your site. It is a hit every single time I make it Jenn. Thank you so much! I make it for barbqs, potlucks, camping trips, etc. It’s so easy to make ahead and throw on the grill if it’s too hot to turn on the oven, but delicious roasted too. The leftover salsa (if there is any!) is beautiful on scrambled eggs the next day or as a dip for veggies. Thank you for another 5 star recipe Jenn! Your recipes are superb! Will this chicken be ok if it marinates from noon until evening of the next day? Dinner plans changed…help? Sure, Mary – it’ll be fine. Enjoy! Also great to prep ahead. I get 4 pounds skinless boneless thighs, cut them up and marinate them over night and freeze in separate baggies. Defrost, and on the grill with Mesquite wood. The sauce freezes beautifully! Make a nice size batch, freeze in small plastic containers. With some roasted sweet potato wedges, and putting the chicken on the barbie, a fabulous dinner comes together with no fuss, and almost no cleanup. Would give this recipe 10 stars if I could! Hi, I have made this recipe several times and it’s ALWAYS a big hit. I made it for my Peruvian friend and she told me it made her feel like she was home again! I would like to make this for someone who is allergic to soy and cannot eat mayonnaise. Do you think subbing Greek yogurt in the green sauce would work? Glad you like it, Tanya! The mayo helps to round out the flavor in the sauce and counteracts the tanginess of the sour cream. That said, I think you could get away with subbing Greek yogurt for it. You want to cut back on the lime juice a bit though, as that adds additional tang. Hope that helps! Replace the mayonnaise with an avocado, you will love it! We have made this once and are obsessed! Best way to cook a whole chicken. It doesn’t even need the green sauce, but it is amazing, so we poured it on roasted veggies, etc! LOVE this recipe!!!!!! I would love to try this recipe. Only problem is that I do not like very spicy food and I am afraid the jalapenos will be too spicy for my taste. I also noted in an earlier review that I can substitute Italian parsley for cilantro. Are there any modifications that I can make regarding the jalapenos? Hi Carole, you can omit the jalapeños if you choose to (or just use less if you’re concerned about the sauce being spicy). Hope you enjoy! PS You are the best chef around! I’d definitely use this marinade, Patti. I’d love to know how it turns out! Made this last week and it’s fantastic! I also made a side of Yucca Fries to go with it. We dipped the fries in the green sauce which is the bomb. Going to make it on the grill for the 4th of July bbq using my vertical chicken stand. And a double batch of sauce. This is absolutely the best meal I have made in a long time. My husband and I could not stop eating this – especially the sauce. I made the recipe exactly as written. It is so delicious. Can’t wait to serve it next time my family is here for a visit! Summer grilling is a perfect time to make this recipe. I’ve also made it in the oven in cooler months. The chicken marinade is tasty and the green sauce notches it up. Plus, the sauce tastes great on sides and salads, too. Saw this in the cookbook and it looks so great! But will the lime juice in the marinade make the breast leathery? Should I avoid slathering the marinade under the skin of the breast? You’ve mentioned using zest before for boneless skinless breasts. Does it apply to the breast of whole chickens? Hi Phillis, no worries about making the chicken tough here; that only applies to boneless, skinless breasts. Hope you enjoy! While my chicken came out of the oven a bit dry, the SAUCE WAS TO DIE FOR! I can’t say enough about how good this sauce is. Seriously – THE BEST! Made this last night and instead of roasting we grilled it. So easy and delicious! Love the green sauce – just the right amount of heat. This was memorable chicken. I made the marinade and green sauce the day ahead. I served it with parboiled rice and lemony green beans. Easy, bright and bold. WOW! The flavor is unreal and I have NEVER had chicken breast meat so juicy and tender! Followed recipe exactly but my oven runs hot so I only cooked it for 40 minutes at the 375 heat and it was perfect. Jenn, your recipes are amazing. I want to cook from your book every day! I wish you were coming to the Bay Area. Hope to see you on TV with your own show some day!! Italian parsley will also work nicely here. Hope you enjoy! I know I’m late to the party, but we just tried this a couple of days ago for dinner. Omg, it was soo good. Even my kids who dislike roast chicken gobbled this up. Between 4 of us, 2 adults and 2 young kids we polished off a 4 lb chicken. There was a small 4-inch piece of breast left that I shredded and tossed in the juice that was in the pan and gave it in a wrap to my daughter for lunch the next day. I did make 1 1/2 of the marinade as I felt I needed more. Oh and the green sauce? Leftovers can be drunk with a straw! I’m so glad I discovered your blog, thank you so much! I have made this entree multiple times with my gas grill and the rotisserie attachment. My family of four (4) will eat the entire chicken in one setting. Therefore, I always roast two (2) chickens. My teenage son’s and daughter’s friends claim that this is the best chicken they have ever eaten. I follow the recipe exactly and will add apple and/or hickory wood to my grill to add a slight smokey flavor; however, it is not necessary. My 6 and 4 year boys LOOOVVVEEE this roasted chicken. They will actually eat the whole 4lb chicken! It’s unbelievable. Thank you for this wonderful and super easy recipe! Made this last week the whole family absolutely love it! Quick question though, can this also be grilled/broiled rather than roasted? I made this last night for dinner. I marinated the whole 6lb chicken for about 8 hours and put it in my rotisserie. This came out so juicy and flavorful. It was magnificent. The green sauce is a must do as well. I paired it with some black beans and rice. Fantastic recipe – fantastic dinner! I tried this recipe on 4/18/18 and it was PHENOMENAL!!! Hands down better then any I’ve had in a restaurant. I used an organic fryer and although I only marinated for an hour it was THE BOMB!!! I can’t wait to try it out with wings on the grille…. The only problem with this dish is that I had to hide a little from my girlfriend so I’d have a bit for dinner the next night. She absolutely LOVED it! Thank you! Jenn, I love this recipe and have made it numerous times using a whole chicken and also with skin-on/bone-in pieces. I want to bring it to a get together later this week, but want to make it more of a finger food, as it is a cocktail party. Suggestions? My rating is easily 10 stars! Hi Deanie, glad you like the chicken! Wings would be a good option for finger food — You can oven roast them; I’d put them on a rack over a cookie sheet at 400° for approximately 50 minutes, flipping halfway through. I’d love to hear how they turn out! Peruvian chicken was ‘slap yo mama’ gooood and DA BOMB with your green sauce!!! Green sauce works as a great salad dressing too! I just made your green sauce and I almost put a straw in the blender to drink it all!!! This reminds me so much of the green sauce they serve with breakfast burritos down in Houston and you can eat it with chips or anything Mexican or just drink it! Lol! It is sooooo addictive! Cilantro is my second favorite herb! Greens onions are #1. I can sniff both all day! Clearly I need help for sure! Hahaha! I am going to add some avacado to this and make a dip! My chicken is marinating for tomorrow but am afraid I will have to make another batch of sauce by tomorrow! STOPPIT with these sensational recipes! Am about to make your Secret Ingredient Chocolate Chip Cookies! This Peruvian roast chicken was absolutely amazing. I call it whole day chicken. It was a lot of work…but oh my gosh this is outstanding. It will definitely be made again. And I bet this summer I will make it even more using chicken pieces and grilling it instead of roasting. I served it with roasted beets and it was one of the best meals I have made in a while. I have made this multiple times and it is perfection so thank you!! Do you know how best to to adjust the cook time for an 8 pound chicken? Hi Bridget, I’d probably count on an additional 30-40 minutes, but you’ll have to keep an eye on it. You’ll know it’s fully cooked when the juices run clear when you cut between the leg and thigh. (If it’s browning too quickly, cover it loosely with foil.) Enjoy! This recipe is a real keeper. I made it using a cut up chicken and I had to hide what remained after dinner so that there would be some leftovers for another night. The marinade made for wonderful meat and the dipping sauce was delectable. It would make for great game-day fare. This Peruvian Chicken recipe is just about as perfect as can be. I am the sort of cook who uses a recipe for ‘guidance’. I have discovered after making this at least 10 times that it is perfect as is. I use chicken parts as my family loves thighs. When using parts, you must take them out in about 45 minutes. I try to let them marinate for 24 hours but have also marinated for about 4 hours and it is delicious. If marinating for a shorter time, I add more garlic and a splash of white wine to speed it along. I have shared this recipe with many friends and they also rave about it. Definitely fancy enough for a casual dinner party. It’s a winner. When it comes to sauces like this, I usually skip and eat the dish without sauce. I would not skip this sauce, however, it is delicious! Overall, this is my favorite roast chicken recipe ever. Another outstanding recipe! Great to throw in the oven on a busy weeknight. My family doesn’t like dark meat, so I usually make with bone in, skin on chicken breasts. For smaller to med size breasts, I roast at 450 for 35-40 mins . This was the perfect amount of time in my oven … skin was crispy and breast meat was perfect! AND the green sauce is terrific. I’ve made in both my blender and mini food processor, although it comes out a little smoother making it in the blender. This is a terrific recipe and really easy to put together. The green sauce is phenomenal and can be used any time you need to perk up some quesadillas or nachos, a store-bought rotisserie chicken, etc. We use it as a condiment when making Venezuelan arepas and everyone raves about the flavor. Another winner from Jenn right here! This dish is amazing! I made it with chicken thighs for my sisters book club, everyone was drooling! Making it again for my girlfriends tonight using a whole chicken. I’m making Spanish rice with lime on the side and a salad. The perfect meal! This was so delicious! It smelled and looked so good, I literally forgot to make the sauce! I used the left overs to make your White Chicken Chili…another winner recipe. Thanks for this fantastic recipe. Just pre-ordered your book. Can’t wait for it’s release! This was very good. We all enjoyed it. Made it with thighs. What little was left over was even better a couple day later. The sauce is to die for. Exceptional was the review in this house. Thanks Jenn. Love, love, love your site. I made the green sauce a little too hot, but it’s delicious…anything I can cut it with to cool it down? I already added the rest of the yogurt container. Thanks. Hi Carol, I’d add more mayonnaise as well. Hope that does the trick! I’ll add some for tomorrow’s supper. Thanks! Thanks for answering my question the other day! I really appreciate your communication, you always reply and so quick!! So made this using wings today and brought to a friends cocktail party. I marinated them overnight then barbecued, as per your instructions for your buffalo wings (which are also amazing!! ), and everyone was raving! Many asked for the recipe 🙂 The only thing I changed was the sauce, I’m one of those crazy people who hates mayo and sour cream as well… I served the wings alongside your chimichurri sauce instead, which worked really well and felt like a good match for the rich chicken wings. This is going to be something I make regularly! Thanks for another new favourite!! Made this recipe and it was phenomenal! The only change I made was that I butterflied the chicken & roasted it in a pregaeated cast iron enameled pan at 400 degrees, basting it every 20 min w pan juices. It took 50 min total. I used all the seeds from the 3 jalapeño peppers for green sauce. Meat was so tender, juicy & flavorful. It was a hit. Served it w white rice & a cucumber avocado salad. Yummy. This recipe is in heavy rotation in my house during grilling season! Hi Jenn! Quick question, is it possible to adapt this recipe for wings? Going to a cocktail party this weekend and would love to give this a try. If you think this could work, would you barbecue the wings or roast in the oven? Thank you, as always, for your beautiful recipes and any suggestions!! Hi Katrina, Yes, wings will work here. I think grilling them would be delicious, but if you’d prefer to remain indoors, You could oven roast them. If you do, I’ put them on a rack over a cookie sheet at 400° for approximately 50 minutes, flipping halfway through. I’d love to hear how they turn out! I made this for dinner tonight after having it marinate over night. I liked it, but my husband did not. The sauce was good. Thanks again – keeper recipe indeed! I’m wondering if I can leave out the sugar in the marinade and if I can use greek yogurt instead of sour cream. Can’t wait to try this :). Thanks in advance! Hi Mounira, I think the sugar adds a nice balance to the other flavors in the marinade, but a few readers have commented that they’ve omitted the sugar with good results. And, yes, you can use Greek yogurt in place of the sour cream. Hope that helps! Best roast chicken ever. Have made it multiple times and love it. The green sauce is what makes it. We use the leftover sauce with salmon too. A keeper! Absolutely the best chicken recipe I have ever tried. It is my go to prep now. I found your website about a year ago and I always check you first when I want a recipe. I have also ordered you book. Thanks for many delicious meals. I made this and the meat was rubbery and the skin was not too crispy. I did use “convection” setting on my oven…was this the problem? i otherwise followed the instructions. I’ve read that marinating too long with citrus makes the meat “mushy”, and too long with salt, dries out the meat. Why does this overnight marinade work? I’m trying it again tomorrow night but using brown sugar instead of regular sugar for a little more flavor. hopefully the brown sugar won’t make a mess. Hi Tina, that’s a bit of a head-scratcher. The way you described the meat as rubbery and the skin as not crispy, makes it sound like it was undercooked. But…because you used the convection setting, I would typically think that the chicken could get overcooked (I don’t recommend using the convection setting for cooking meat). It may have been that you just didn’t get a great chicken (unfortunate, but it does happen). And regarding marinating the chicken overnight, I find that chicken on the bone (particularly a whole chicken) can stand up nicely to a marinade with citrus without a problem. And I’ve never had an issue with the salt in a marinade drying out the meat. Hope that clarifies and that you have better luck the second time around! Hi Tina, I find when I use my convection setting on my oven, I need to extend the cooking time for any roast chicken. If I follow the time in the recipe and use “convection” my chicken is undercooked and rubbery. I have to “eyeball” it until the skin is crispy enough. Maybe it’s our ovens? Mine is an LG stove. Anyway, better luck next time. I have made this recipe several times, and now I do chicken pieces in the same marinade and either put it in the oven or do it on the grill. 5*****So good! Made with chicken breasts, thighs and drumsticks. Think it would be great w/just wings & drumsticks for super bowl party! Green sauce is delish! This was the first of your recipes that we tried and it is still a family favorite. We got hooked on Peruvian chicken after visiting El Pollo Inka in Southern California. Your recipe is even better! I love their Saltado de Vegetables and make a slightly different version to go with your chicken; sauteed cauliflower, green beans, and red onion with french fries sprinkled in. I always make extra green sauce and mix some in with the vegetables before serving. This chicken is to die for!!!! This is in rotation at our house cause it delicious. I refer to it as “bomb chicken with “crack sauce. Seriously. Speaking of… It’s been a while since I made this now that my mouth is watering. I LOVE this recipe. It’s very easy and sooooo delish. The sauce is amazing, it can be used for many other dishes as well. Wonderful recipe! I don’t usually roast whole chickens, but this marinade kept the chicken moist and juicy. The green sauce is delicious with the chicken. I served this with couscous and the whole family gave it a hearty thumbs up! This is one of my favorite dishes. Thanks Jenn! I did make an alteration, however. I broiled the jalapeños along with a poblano pepper until soft and charred. I also peeled the skin of the poblano, and blended that up with the rest of the green sauce ingredients. The roasting of the peppers added a wonderful texture to the sauce. This is the latest hit recipe at my parties! I use legs and thighs instead of a whole chicken, but the beautiful and bold flavors come through just as well and the spicy-kick you get from the sauce is the perfect compliment. At times I grill the marinaded chicken instead of roasting it and is just as good! One of my favorite recipes on your site!! This one is a staple in our home. Before our little ones came along, I used to make this recipe as is; and it’s absolutely delicious! However, these day I’ve made it a bit more family friendly, if you will. This is a simple change! I follow the recipe as is, however, I use 4 bone in, skin on chicken breasts in lieu of a whole roaster. This allows for more white meat, which my family loves! As for the green sauce, I follow the recipe as is, and I don’t add any of the jalapeño seeds. This sauce is still flavorful and delicious, just not spicy for little mouths. I always save my leftover green sauce and use throughout the week as a quesadilla dip and as a dip for fresh veggies. Yum! Hi Anita, I haven’t yet purchased a pressure cooker/instant pot (although I know they have really grown in popularity)! I’m a bit of a traditionalist, so I’m not sure if/when I will be purchasing one, but these tips look like they could be useful in converting traditional recipes to ones that would work in a pressure cooker. Hope that helps! Thanks, Jen! I’m going to go ahead and cook it in the oven. I did get a chicken that about 7lbs. How would you recommend adjusting the cook time? Thanks! I’d stick with the 20 minutes at 425 degrees, but once you reduce the temp to 375, you’ll need to roast it for a bit longer. I’d suggest about an additional 25 – 30 minutes, but keep an eye on it. (You’ll know it’s done when the juices run clear when you cut between the thigh and leg.). Hope you enjoy! Thank you for your input on this recipe, Jenn! I made it for my daughter’s birthday and it was wonderful! The cook time you recommended was perfect. The chicken and especially the sauce were a hit. Thanks again for another hit recipe! This is the best recipe on the internet, hands down. My family adores this chicken. Boneless skinless chicken is typicall what we use instead of a whole chicken. And then we fold it into tortillas with lettuce and tomatoes and drizzle the green sauce over it. The best!!!! In the green sauce recipe, it calls for “cup of fresh cilantro” does that mean to pack the cilantro or leave it fluffy in the measuring cup? I absolutely love this chicken and the green sauce. I use the green sauce on just about everything. I always get fresh checken from the butcher., already cut up. Rub it down good with the marinade and then I freeze some of it. I always have some in my freezer. I have made this recipe over and over and over again. I just can’t express the stillness that comes over my guests as they begin to savor this most delicious dish. The only change I’ve made is to spatchcock the chicken for a quick roast. We are actually going to have this for Christmas Eve dinner. Try it – You will LOVE it. This recipe has amazing flavor. One of my guests said it tastes better than what she’d order in a restaurant. I’m always so proud to serve it! Here are a few tricks I’ve used: Instead of sour cream, I use Greek Yogurt, since I always have it on hand. Preheat oven to 425 degrees. Cook 10 minutes per pound, plus 10 minutes (45 minutes for a 3 1/2 pound chicken, 70 minutes for a 6 pound chicken). If the bird is just out of the refrigerator, add another 10 minutes to its cooking time. Let the bird rest, covered, 10-20 minutes at room temperature. This method yields perfectly cooked chicken with crispy skin all the way around, every time. Love this recipe as is. Onceuponachef has become my go to site for making my weekly menu! Very tasty and easy recipes the entire family loves. The green sauce for this recipe is tasty and versital. This recipe is perfect. It is my go to when I am having guests for dinner. I’ve grilled the chicken and done it in the oven and both ways are fabulous. And the sauce – oh my! It is SO good! If there’s any leftovers I use it on salad or whatever other leftovers I have around. Thanks for always making me look like a great cook! Really tasty! I served the chicken with roasted baby potatoes and a radicchio salad. We usually do a high heat (Thomas Keller) style roasted chicken. This was more like a rotisserie chicken and delicious in it’s own right. My husband is still in the kitchen “snacking”. The sauce was the star for us and was great on the potatoes as well. – Added butter to the chicken prior to roasting and threw baby potatoes in the pan around 40 minutes out. – Subbed greek yogurt for the sour cream and added an extra cilantro and salt to taste when when making the sauce. I make this chicken all the time. It’s better to let the chicken marinade overnight and uncovered, so the skin comes out crispier. I also double the paprika, cumin and pepper as we prefer a spicier mix. If the green sauce is too spicy for you, a classic chimichurri sauce tastes great with it. This recipe is spot on!! Doing my Thanksgiving turkey like this, except adding butter into the mix for extra moisture. Keep your fingers crossed. All ingredients x4 for a 20lb bird. This is gonna be a hit!!! Ooppsss!! Forgot the 5 stars!! Fantastic! The chicken alone is great too. I serve this with warm tortillas, dressed up whole pinto or refried beans. Sometimes add Mexican corn on the cobb. Chicken is great for nachos, quesadillas, enchiladas, chicken salad. One of my very favorite recipes for dinner! I doubled the green sauce because it is delicious on so many other meats and pasta and rice! This chicken came out sooo good! My husband had brought home Peruvian chicken from a restaurant near his job. It was delicious but the portions were small and when I found out how expensive it was, I wanted to make a home version where we could have seconds (maybe thirds..😀). Anyway, he raved about this recipe when I made it last week. I don’t know if this recipe is a blessing or a curse, he may never take me out to dine again, reasoning that I can make this better than the restaurant… Lol! Seriously thank you for this excellent recipe!! I already know it will be in permanent rotation in this house😊. Everything that I have prepared so far from your site is a hit with my family. This Peruvian chicken is no exception. I’m a pretty good cook but when I cook a whole chicken, there’s always leftovers. But with this Peruvian style chicken, bones were the only thing left on same day. I’ve prepared the green sauce in the past and it’s always tasty. Thanks so much for these wonderful recipes. THis was delicious! The bf can’t stop raving about it! So easy to make. I marinated the chicken overnight and man was it flavorful! I cook many of Jen’s recipes all of which are wonderful. However, this chicken dish with green sauce is over the top delicious and always a hit with guests. My only change is that I prefer to use already cut up chicken pieces rather than whole children when preparing as it makes serving and leftovers so much easier. I’m really not a grammar/typo Nazi, but notice the third mention of “chicken.” Auto correct & auto fill give me a good laugh now and then. This was so GOOD!! We didn’t use a whole chicken, just chicken thighs…still good. Next time I will cut back on the mayonnaise and sour cream a bit and I think it will be closer to the Peruvian restraunts we are addicted to. This recipe is definitely a family favorite. It makes alot of sauce, so I use the leftover sauce by mixing it with a little sour cream and it is a very light & refreshing dip to use for chips or vegetables. This is truly my favorite roast chicken recipe (and I’ve tried dozens, even Ina’s!!). I’ve made it with and without the green sauce, as my family loves it as is, because it’s so flavorful and moist. Definitely marinate overnight to allow all the wonderful citrus, garlic, and spices to permeate the meat. I’ve added a pinch (or two) of cayenne to bump up the spiciness and have substituted honey for the sugar on occasion. This pairs well with any side dish, but I’ve made it with the cauliflower fried rice (also a winner!) and love that combination. Why buy a store-bought rotisserie chicken when, by making this recipe, you can fill your home with the fabulous aroma of roast chicken and then enjoy the moistest and most flavorful dish? This is one of my all-time favorite recipes. Instead of the whole chicken, I use boneless chicken thighs (skin on) and sear them in my cast iron pan first before baking. I’m not a fan of sour cream so I use a different green sauce recipe. Aside from that, this recipe is perfect. I cut up the chicken to make Peruvian tacos and my family can’t stop eating it! I like this recipe a lot, I do use lemons in replace of the traditional limes as my family is extremely fussy. In addition I also add some peppermint leafs and jalapeno pepper for the chicken marinade and always marinade overnight. Quite Delicious. Great recipe. Lots of flavor in the chicken. I marinated it for two days only because things came up and didn’t get to cook it. Breast meat were still moist. My Peruvian husband loved it….tasted just as he remembered. He did suggest that I buy huacatay leaves next time for the sauce. My neighbor made this for me and I thought it was the best chicken and sauce I have ever eaten. I tried it and did not follow exactly and mine was good but not as good. I have passed this one to others and have made it many times since again the best flavors melded together of any recipe I have had. I have2 packs of split breasts (2) and drumsticks (4) which I am using this marinade for. How would I adjust the roasting times or temps for this? Thanks! Hi Mary, Preheat the oven to 450 degrees and roast for 35-40 minutes, or until the skin is golden brown. Turn the heat down to 375 degrees; continue to roast for 15-20 minutes more, or until done. It should be done in less than an hour- be careful not overcook. (Also, place the chicken pieces on a rack so the skin crisps up.) Enjoy! Made it with chicken breasts w/bone instead of a whole chicken. Still tasted great. The green sauce was could have had more cilantro. Overall keeping the recipes. If making two whole chickens what would be the timing and temp for the oven? Hi Mary, you could do that too. Preheat the oven to 450 degrees and roast for 35-40 minutes, or until the skin is golden brown. Turn the heat down to 375 degrees; continue to roast for 15-20 minutes more, or until done. Chicken should be done in less than an hour; do not overcook. Hi Mary, the timing and temperature of the oven would remain the same for 2 chickens. Just make sure the chickens are not too crowded in there and that there’s enough room for the hot air to circulate around both of them. This recipe is spot on. We recently went to Peru in January 2017 and this recipe brought us right back. They use green sauce on literally everything (we love it on simple salads with greens, avocados, tomatoes, and beets) and I could have bathed in it. I hate leftovers but cannot wait to eat this chicken again today. Absolute perfection Jenn! The Peruvian chicken was over the top crazy good. Be sure to make extra green sauce. You can use it on other food items, e.g. pork tenderloin. I did not add all the jalapeno at once. I tasted the sauce and added the chopped peppers slowly. Also, once I was done lifting the skin from the chicken, I put it head side down in a gallon size Ziplock and then added the marinade. My company said they never had chicken this tasty and tender. My husband loved the green sauce and he is not fond of cilantro, go figure. Thanks for a great recipe Jenn. Can’t wait for your cookbook! Made for a group of healthy eaters and everyone went wild! Marinated boneless, skinless chicken pieces in the sauce overnight and cooked it covered in the oven. Green sauce–for jalapeños used most of seeds and membrane. Used light Hellman’s Mayo and nonfat, plain Fage instead of sour cream. Was very hot so I added the entire 6 oz. container of Fage–still pretty hot but good b/c this crowd likes it that way. The pickiest eater in the group literally sat down, took one bite and said: “WOW! Is this GOOD!” Everyone said chicken and incredible sauce went perfectly with the Mexican rice. They were still raving when they left hours later. Another huge hit, Jenn! You are a genius! Thanks so much!!! Awesome! The chicken was soooooo tasty that I and my family couldn’t stop eating it. I used a four pound pack of drumsticks instead and it was exactly enough. I added a 1/4 teaspoon more of the oregano to bring the flavor out a little more but all in all this recipe is perfection! Love this! I make this at least once a month. I cook it in my rotisserie oven and it comes out perfect every time. I have made this recipe several times and it is always great. I add a little more salt to the chicken. But the sauce/dip makes the chicken taste absolutely wonderful. The chicken is always juicy. Thanks Jenn. This dish has become a staple at my house. The flavors are captured perfectly. It is so loved that people always ask for the recipe after they have eaten it. Can’t wait to make the Peruvian chicken. What side dishes would you suggest? Also want to mention how much I love your recipes! I made your shrimp with green curry and the family loved it. It’s great to try something new with excellent odds on them being VERY good! Thank you!!!! Hi Joan, So happy you’re having success with the recipes! This is one of my absolute faves – if you click on the “pair with” tab, you’ll find some suggested sides. Hope you enjoy it! I made this yesterday for dinner and we absolutely loved it. The chicken was very moist and flavourful and the sauce was amazing. I have been putting the leftover sauce on just about everything. So delicious. Thanks Jennifer for another keeper recipe! This takes awhile to make but it is definitely worth the effort. My daughters declared it to be their new favorite meal! Green sauce is a great accompaniment. This is hands down the best recipe I’ve found on the internet. I wish I could find another home run recipe like this. I can’t think of any other dish I’d want to host with, but I can only serve Peruvian chicken so many times a month! Wow. This recipe truly deserves 5 stars. The chicken was bursting with flavour and the green sauce complimented it very well. I marinated boneless skinless chicken thighs and baked them. Although the chicken very good the real hit was the green sauce. My 21-year old son asked for the recipe (a first!). I’ll be making this recipe again soon. I prefer to use cut up chicken. Makes serving a snap. Simply amazing. I didn’t have a whole chicken so I used boneless skinless chicken thighs and grilled them. Right now my husband is using the leftover green sauce as a chip dip, it’s that good. Good lord this was tasty. I made grilled wings instead of a whole chicken. I marinated for 24 hours and grilled at ~300 degrees for about 7 minutes on each side (turned a lot of tiny wings). I made extra marinade/sauce to baste the wings with. The green sauce was fantastic for dipping. Like many others here I could probably slather it on just about anything. Kind of like a jalapeno / cilantro ranch … Except better. It was a meal where I didn’t bother stopping to wipe my face because I knew I’d just be stuffing my face with more wings. I looked like I’d been punched in the mouth with a glove covered in marinade. Which (naturally) turned my wife on. This recipe was amazing – the sort of food I absolutely love to eat! Crisp, skin on the outside, and tender and very moist within. My husband called the skin an ‘explosion of flavours’. The green sauce really makes a nice touch as well. This chicken is special enough to serve to guests with some baked sweet potatoes wedges and green beans to complete the meal. This is COMPANY chicken at it’s finest. The recipe can be easily converted to Gluten Free, simply by subbing in GF soy sauce. I made this using chicken pieces, so instead of placing the marinade under the skin, I simply marinated and cooked until done. The 6 hour minimum time is not necessary. 2 hours will give good results. Jenn is 100% correct when she raves about the Green Sauce. My household cannot get enough of it, and is putting it on everything from salads, to sandwiches, even sticking fingertips into the container to lick. Omg! A neighbor made this and I could not wait to make it!!! We love this recipe! Thank you for making my life easier and healthy. Makes amazing chicken wings! I used to this marinade on 6 pounds of chicken wings. Marinated them overnight and then baked them on a rack over a cookie sheet at 400° for 50 minutes flipping halfway through. Served with the sauce on the side for dipping for a party last night. It was a HUGE hit! Thanks for the inspiration Jenn!! This was fantastic. I just recently moved from DC and this reminds me of the local Peruvian spot I used to go to in a Silver Spring, MD. Thanks for the recipe! This was amazing! We used the marinade on grilled chicken breasts and we will be making it again soon! The green sauce is delicious too and we ended up using it on everything on our plates. Thank you! I made this tonight and it was a hit! The sauce was delicious but the marinade alone makes this recipe special. This will go into my weekly rotation. The food of kings. My mouth began to water this morning when I mentioned to my husband my meal last night of this unmatchable recipe. The complex, intriguing and delightful flavors performed a symphony in my mouth. I had always heard of food melting in your mouth, well this chicken did just that. I simply am unable to stop thinking about that five star repast. Incredible! Bravo, Jennifer! Thank you. I don’t know what to rave about more – the chicken or the sauce – they’ve both fabulous!!! We used chicken thighs – and stuffed most of the marinade under the skin – baked at 380 for 45 minutes and put the grill on for about 10 to crispen up the skin – to die for – best chicken ever!!! As other people have said, the sauce is so versatile and so tasty! My husband asked if we could have it again the next night. We’re going to prepare a quantity of the chicken and freeze it as it gets closer to BBQ weather, we think it’ll be great BBQ’d. Thanks you Jennifer for another great recipe! FYI – the frozen chicken lost a lot of the flavour, so, won’t be trying that again. But the original recipe is brilliant!!! Delicious! I found separating the skin from the chicken harder than I expected. But I persevered and got it done. I think I would make half the sauce next time — it tastes great, just made much more than we needed. (I also made a gravy using the pan drippings, a little bit of cornstarch and a splash of white wine.) Thanks for another fantastic recipe! Thank you for this recipe. I’ve been really enjoying your recipes. My husband and I really enjoyed it and the sauce was delicious; however, are you supposed to warm the sauce or have it reach room temperature before serving? although the taste of the sauce was outstanding, we felt the sauce was too cold to go with the hot chicken. Hi Nancy, while I think most use it chilled (kind of like ketchup would be from the fridge), you could certainly bring it to room temperature first if you prefer. Made a quick version with chicken breast cut into large strips and cooked on a cast iron grill pan, absolutely delicious, keeper! How can I modify this recipe so I can use a chicken that is already cut up rather than whole? Hi Nitza, you could handle the prep in the same way. For adjustments to baking, you can follow the instructions used in this chicken recipe. Hope you enjoy! You make us nervous cooks look great! For a time saver can I just marinate the chicken pieces and not put under the skin? I have not tried this recipe but I still gave you 5 stars! Hi Cheryl- glad you like the recipes :). Getting the rub under the skin helps to really permeate the meat with flavor so if possible I’d do that, but it will still be good if you marinate it in a bowl or bag. Could you use boneless chicken thighs? Yes- several readers have commented that they’ve used boneless thighs and have been happy with the result. Hope you enjoy! I want to try this with chicken pieces. How important is it to rub the marinade under the skin rather than just marinading pieces in a bag? Getting the rub under the skin helps to really permeate the meat with flavor, but it will still be good if you marinate it in a bowl or bag. In making Peruvian chicken can you use skin on bone in chicken breasts. Would the temperature and time change in cooking method? Hi FBH, Preheat the oven to 450 degrees and roast for 35-40 minutes, or until the skin is golden brown. Turn the heat down to 375 degrees; continue to roast for 15-20 minutes more, or until done. Chicken should be done in less than an hour; do not overcook. Marinated overnight, then smoked @ 185 for 5.5 – 6 hours. Excellent! The husband and teenagers said this was one of my best dinners ever. A bit time consuming but worth it!! Great recipe!!! I add a shallot to the recipe for the marinade and I’ve now used it for wings. I butcher the wings and throw it straight into a freezer bag and let it sit overnight with the marinade. 4 lbs of wings at a time and grill them over a propane grill. Thanks!!! This recipe is so outstanding. I have extra sauce, and was wondering if it would freeze well. Glad you enjoyed it! Unfortunately, with the mayo and sour cream, I don’t think the sauce would freeze well– sorry! Best chicken ever…this is usual rotation in our house! Thanks Jenny! Omg!!!!! This peruvian chicken with green sauce is so incredibly juicy and delicious! I’m very much looking forward to trying the Peruvian Chicken and the Sweet Potato Chipotle as a side dish. Your website is really awesome! Every one of your recipes that I’ve tried has been a big hit. I think I will modify your Peruvian Chicken recipe and cook it in my Big Green Egg, which makes everything taste better! I’m giving it five stars because I know we’re going to love it. Thanks for the nice words about the recipes- so glad you like them. Hope you enjoyed the chicken! This was my intro to this site, and it is my go-to company chicken now. Absolutely delicious. I may never make another kind of roasted chicken again! My 3 (grown) sons devour this each time I make it. The green sauce is divine–creamy with a nice kick. The recipe makes a LOT of green sauce, but I’ve used the leftover with steamed vegetables and also with fish. I make the recipe completely as-is with no changes. Delicious! What an amazing recipe. I’ve hosted with this recipe several times already and everyone loves it. Now I’m wondering what I should move on to next. I can only make Peruvian chicken so many times! I’ve made this several times. Delicious! Enjoyed this apple cake very much. I did one and a half times the recipe in a 9″ springform pan which resulted in a two inch high cake. The cooking time added was 5 minutes. Lots of compliments when served with whipped cream and a few fresh raspberries to brighten the dessert plates. There is a Peruvian chicken place across from where I work and I love their roasted chicken. I made this recipe last week and WOW. I let it marinade for 2 days (got busy! ), and then cooked it flat on a grill instead of in the oven, and got a wonderful crispy skin on the outside. The marinade is just spot on, really exactly what I was looking for. I can’t wait to serve this with Peruvian black beans and rice. Try pulsing in 1/2 cup of feta cheese in green sauce…delicious addition. What sides would you serve with this chicken? Hi Tom, Because the chicken and sauce have so much flavor, you can keep the sides simple. A simple steamed veggie would be nice– maybe these Green Beans with Shallots. Also, plain brown or white rice would work, or you could try this Mexican Rice Pilaf. Hope you enjoy! This chicken! This green sauce! Ahh so good! The recipe makes more sauce than needed BUT you’ll be happy you have extra. We dip anything we can in it. My four year old loves it and it’s not spicy, so don’t let the jalapeños scare you. This one is on rotation in my house. This is the most delicious chicken! I am getting ready to make it for the third time. The green sauce is wonderful on leftover chicken and salad. I’ve made this several times over the past few years — it’s a wonderful recipe, very easy to make, and absolutely delicious. I typically make it with chicken thighs rather than a whole bird, which makes it easy to make for a crowd. Hi Andre, that should be fine; it lasts from 4 to 5 days in the fridge. I’ve made this twice now. Once in the winter in the oven as a whole roasted chicken. And again this past summer, as chicken pieces that I grilled outdoors. Both times it was excellent. And the sauce is amazing! The sauce is great on rice but even better on roasted potatoes. I also shredded some of the chicken and ate it wrapped in flour tortillas, with lettuce, avocado and the sauce. Amazing. Definitely a keeper. This is one fantastic recipe. I followed the directions exactly except for substituting leg/thigh quarters. The green sauce is to die for. I made a double batch and have used it on everything I can think of. I made a mild version because you can always put heat in but you can’t take it back out. Next time I will be adding a little heat and a little more Cilantro. I cut the chicken off the bone, put it on flatbread, poured the green sauce over it and rolled it up to eat. Yummy! How would I cook this if the chicken was already in pieces? Hi Mila, Preheat the oven to 450 degrees and roast for 35-40 minutes, or until the skin is golden brown. Turn the heat down to 375 degrees; continue to roast for 15-20 minutes more, or until done. Chicken should be done in less than an hour; do not overcook. Is this time the same for leg quarters? I’m vegan but I loved Peruvian chicken as a carnivore so I decided to adapt this recipe to fit my needs. Just wanted to say that it works wonderfully with chicken style Seitan and there’s no need to marinate! Just slather the marinade on your loaf, wrap it in foil and bake for an hour and a half. The green sauce is even easier, you can use the vegan versions of the sour cream and mayo or just use an equivalent amount of cashew cream which is what I did because I can’t tolerate soy. Will definitely make this again, and I’ll definitely have to make actual chicken for my meat eating family members because they’re jealous! Oh my!! Made it for my chicken sauce but this is so good we dipped our pal de queso in it and also our asparagus!!! Can’t wait to have it again. Used just a few seeds, hot but not overly hot! Sooo Good! The marinade was super yummy. I needed to get dinner on the table fast. I had some chicken tenderloins and wanted a quick sauce to cook it in, when I found this recipe. I made a half recipe of the marinade and added a little water. After browning the chicken I poured the marinade over and then simmered. Wow. When I am not so rushed, I want to try the entire recipe. The Green Sauce looks good too. Is there a substitute I could use for cumin? I plan to make for my husband’s 50th bday, and my mother-in-law cannot tolerate cumin. Hi Debbie, I’d suggest chili powder, but may chili powders contain cumin so you’d have to be careful with that. Coriander would work as well, but would give the chicken a different (but still tasty) flavor. Hope that helps! This was delicious! The green sauce has become a staple in our house, it’s good on so many things. I slightly altered the green sauce recipe due to dairy issues. Omit the sour cream and add a little more of my homemade mayo (which is creamier than the store bought brands). Amazing! So glad I discovered your site. My husband and I had just tried Peruvian Chicken on the weekend. The taste from.this recipe was pretty much exactly the same as what we had. Five stars and very easy to put together. Thank you for your recipe. Bookmarking this page for future party ideas. Can I use chicken thighs and legs only…and how do I adjust oven time and temperature? Hi Kira, Yes, you can use bone-in thighs and legs. You can keep the oven temperature the same, but reduce the cooking time. I’d start checking them at about 50 – 55 minutes. WE LOVE this recipe, but today is very hot, and I wanted to grill the thighs instead of doing them in the oven… anyone ever grilled the chicken instead? Should work beautifully, Sheila. Please let me know how they turn out! Another 5 star review! One of my top 3 recipes from Once Upon A Chef! Jenn, the green sauce should patented. Thanks for sharing it with us. This recipe made the most delicious chicken! I made this last night, using chicken legs and everyone loved it, it’s going in my favorite recipes folder. To be honest, I was a bit skeptical at first because of a few reviews saying that it wasn’t true a Peruvian chicken recipe but we all liked your recipe hands down, over another authentic Peruvian Pollo a la Brasa recipe we also made last night. Definitely restaurant quality! The only change I made to your recipe, was to use honey instead of sugar. My daughter made Roasted Peruvian Potatoes to go with the chicken and your Green Sauce was a perfect match to go with them and the chicken. My son loves guacamole and mixed half of the green sauce, with some guacamole we had made from the day before, I think it’s his new favorite! So glad I stumbled onto your blog, looking forward to trying more of your delicious recipes! I make this recipe all the time! Amazing. Can I substitute Lime juice with Lemon juice? Yes Adam, you can use lemon juice successfully here. Enjoy! Thank you Jen for this awesome recipe! I substituted avocado for the mayo and sour cream and although it was a little thicker it tasted amazing. I’ve had Peruvian chicken at a restaurant and love it so I wanted to try and make it at home. Thank you very much for this recipe, it’s easy to follow and unambiguous. I followed all directions except that I cooked the chicken over charcoal. It was excellent and the sauce pushed it over the top. I can’t wait to try some of other recipes! I’ve never tried freezing it so I’m not certain, but you could certainly give it a try. I am Peruvian. I’ve been eating Pollo a la brasa since I was a child, I’m in my 30’s. For about 10yrs I ate it weekly on family night in NYC. I’ve since moved out of state and I wanted to find a recipe to make pollo a la brasa at home. This recipe is just oven roasted chicken, I used the exact measurements. I’m so very disappointed it is labeled “Peruvian style”. The “green sauce” gets 2 out of 5 stars. I think the only saving aspect is the fact that it’s the right spicy flavor. I wish the person posting would rename this recipe and remove “Peruvian”. If you have a better recipe please share. Cheryl, I have to agree with Josue on this. I too have eaten this sauce for at least 30 years and LOVE it. I think it would be an EPIC fail to remove the name Peruvian from it. That’s what it is. If you are Peruvian and have a better recipe, please share it with the group or provide your changes to this recipe. I’m sure Jenn would appreciate your input, other than remove the Peruvian name. That’s how I came across it. Thanks again Jenn!! I have to agree with you Cheryl. I live in DC & we have great peruvian options. I was exciting about making this @ home. I did not enjoy the recipe. It’s a good baked chicken recipe but Peruvian, no way. This was so delicious and easy! I used legs and thighs instead, and I cooked for about 50 minutes. The chicken was so tender, and nice crispy skin. The sauce is insanely good. I made with your Thai Quinoa salad and a side of roasted potatoes and carrots. The only complaint was from my poor husband grumbling there were no leftovers! Thank you Jenn for another great recipe. I am more confident cooking for my friends since finding your website 🙂 Cant wait for your cookbook! I made this and it was delicious. I’m planning to make it again for some friends and was wondering if you could suggest a few side dishes to go along with it? I came here to ask the same question! Especially since I have a vegeterian in the group. Thanks! We usually serve it with sweet potato fries or Spanish rice. We make the chicken on the grill beer can style. We use the green sauce on like everything, but I do use less mayo and sour cream. Wonderful recipe. Whole family loved everything. Chicken flavor excellent. Green sauce better than my nearest Peruvian restaurant . This recipe is gonna stay with me forever. Unbelievable!!! Who needs to go out for Pollo La-Brasa! I did not have time to marinate the chicken for the recommended time, so i used legs and thighs an vacuum sealed it for about three hours. That was amazing flavor. I can only imagine what the chicken would taste like if it marinated overnight! Thank you for recipe. I forgot the limes!! 🙁 can I sub for lemons instead? Do you think it will have a big effect on taste? Thanks!! Can you use cut up chicken or drumsticks instead of a whole chicken? Yes, Mary, that will work — just be sure to place the chicken pieces on a rack to the skin crisps up. After moving to Switzerland where good ethnic food is lacking I was looking for a recipe to duplicate one of my favorite dishes from NYC’s Pio Pio. This was AMAZING. And I say this as my chickens are cooking rotisserie style in the oven still. While they were cooking I just tested out the recipe on some chicken legs baked at 425 for 30 minutes. I also made the green sauce (which I can never get enough of) with some healthier ingredients as I was horrified to find out how much fat the real recipe would have me consuming. I subbed sour cream for plain 3.8% fat yoghurt and subbed the mayo for 60% reduced fat Swiss mayo (that tastes just as good as the full fat version and even better than Hellmans). The sauce was delicious and while right now it is a bit runnier than usual, I’m hoping it thickens. If not, next time I will use Greek yogurt instead. I would have to agree. Reminded us of Pio Pio as well. This recipe is awesome. I always make this with roasted potatoes and a simple green salad. We could drink the green sauce. I think this is my favorite chicken recipe ever! And we have been calling the sauce, by itself, “Magical Sauce”. It’s good on eggs, bread, salad, vegetables, other meats (steak for example). This sauce has no limits that I know of. And the chicken alone is wonderful.. Instead of a whole chicken, I used bone-in skin-on thighs as my husband and I are ‘dark meat people’ (we bonded at a dinner when we met over drumsticks and thighs). I mariniated with the marinade under the skin and then cooked them on a rack to get more circulation (same as the whole chicken). I think my total cooking time to reach 165 degrees was about 35 minutes at the stated temperature. Seriously this recipe is super fantastic amazing . Thanks Jenn! You’ve come thru as you always do. Can’t wait for your cookbook! Wicked good! Everyone, including all kids, LOVED this dish. Made it with just thighs, still tucked the marinade under skin & cooked at high heat. Kids are now fighting over who gets the leftovers for school lunch tomorrow…. a 10/10. Entire family LOVED this roasted chicken! We followed the recipe and used the seeds from only only jalapeño and it was just the right amount of heat that we like! We tend to eat rather lively dishes. So much flavor and we are using the green sauce in other recipes – tastes yummy with mashed avocado! We will make this dish again! When my daughter came home from college for the holidays, this was one of the first dishes she asked me to make! Our whole family loves this, and my girls love to use any leftover green sauce as a salad dressing. Sometimes I make this with all drumsticks if I need something easier to serve to a group. I doubled the recipe because I had a larger chicken. I allowed it to marinate for 2 days. LISTEN, I don’t usually care for baked, roasted or rotisserie chicken. However, I found this recipe/site while searching for Perivian Charcoal chicken. My blender gave out on me, but I’d give this recipe a 4.5 star based upon the chicken alone. I’ll bet that sauce would have kicked my rating off of the chart! This is company-worthy. I’m making this again, for sure! Thanks, so much! Finally, my husband is hard to please, when it comes to new recipes. He gave this a 4/5 and told me this recipe was a keeper. When your hubby says, “That was the best meal you’ve ever made.” You bookmark it. Served a simple cucumber salad and garlic rice and made an easy strawberry, orange, mint dessert. The sauce you want to drink!! I made the chicken (I made 2 actually) with the green sauce. The chicken was delicious and we had no leftovers. The sauce though was the star. my mother asked if she could just have a straw. Everyone asked me if they could take a little home to eat with salads and sandwiches and nips from the jar. Make a double batch of sauce. Excellent recipe for both chicken and sauce. What’s the biggest size of chicken you would use for this recipe? If I’m traveling with the chicken, can I safely pre-cook it and warm it up again in my friend’s oven without losing the delicious crispiness? Thank you for your amazing recipes!!! Fran, I think you could use up to a 6 lb. chicken for this, but make sure to add some cooking time to account for the larger size. Also, unfortunately I wouldn’t recommend making this in advance. You will definitely lose the crispiness of the skin. Fabulous recipe! I’ve made it a dozen times. But I do have a question, does the chicken need to be marinated for 6 hours? I’m short on time today and would like to make this for dinner tonight, any suggestions? Hi Melissa, It’s best marinated for at least 4 hours but if you’re short on time, the green sauce will still add a lot of flavor. How will the green sauce taste if I omit the jalapeños? Hi Jasmina, Sure, you can omit the jalapeños if you choose to (or just use less if you’re concerned about the sauce being spicy). Another great recipe. The green sauce compliments this dish really well. I have made a lot of recipes from this site and have never been disappointed. I’d like to use this marinade for our turkey at Thanksgiving. I usually brine the turkety. If I Brine the meat before and then use the marinade, will the meat be too salty. Yes, it would be too salty. I would cut down or eliminate the salt. Great recipe. It was so good with the chicken that the family wants the thanksgiving turkey done this way. I usually brine my turkey in a vegetable broth, sugar, pepper, allspice and salt mixture. Can I do that and add the marinade in the morning prior to cooking or do I run the risk of it being too salty. Yes, it would be too salty. I would suggest eliminating the salt in the marinade. Thank you. Great advice as I was wondering where to eliminate the salt. This way I get to keep all the amazing flavors from the marinade. Made this chicken exactly to recipe, and it was fantastic! I love Kenji at Serious Eats, but sometimes I need something just a bit easier/quicker to prepare, and Jenn’s fits the bill nicely. Plus everyone loved it (even the kids)! Hi – i’m really curious about adding avocado (making it more guacamole style) to the sauce. LOVE this recipe! I have made this for my family many, many times and they adore it. I have made it for friends several times and each time they request the recipe. I love sending them to Jen’s website! Second straight Sunday using this marinade. Last week on 3 whole chicken butterflied and smoked over cherry wood, hickory and rosemary. Very delish! Too bad that we can’t post pics here. Would be kind of nice to be able to post those beautiful peruvian birds from last week. Also would be nice to be able to see others. But anyways, Great Stuff!!! 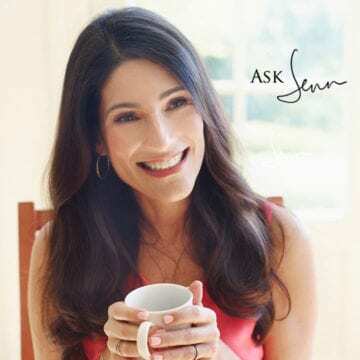 Hello Jenn – this recipe is very popular in my home. About two weeks ago, I made extra marinade and saved it because I’ve been thinking about trying it with wings. Made them and my family loved it. Love your content, great pics, easy to follow recipes. Thanks for sharing. Wow–made this as described and it was fantastic. The green sauce can truly be used on anything and I did put embarrassing amounts on my meal, as well as on breakfast tacos the next morning! Five stars all the way for ease and flavor! Hi Cristina, Glad you enjoyed it! I do the same thing with the sauce 🙂 You could absolutely do the same for your turkey; please let me know how it turns out. Sounds like a nice change from the same old same. Did this with our turkey this year–fabulous! I doubled this recipe and followed the cooking instructions but just longer for our bigger turkey. The moistest turkey ever. Thank you! You were so right – don’t make it in the crockpot, or if you do, don’t go for 8 hours! I don’t know why I felt the need to mess with perfection – laziness I guess. Hi Jen! I love, love, love your website and use your recipes all the time. I’m making this roast chicken for the second time tonight, but I’m using a 6 lb fryer instead of a 4 lb (because my husband can literally eat nearly an entire 4 pounder on his own, and we have guests tonight!). How should I adjust the cooking times for the added weight? Thank you!!! Hi Tara, I’d probably count on an additional 15-20 minutes, but you’ll have to keep an eye on it. Enjoy! My family devours this recipe. Sauce is amazing. I added sweet potatoes to the roasting pan turning once and they were almost as good as the chicken. YUM! Do you think I could make the chicken in a crockpot – low for 8 hours? I’ve made it with chicken thighs and it was amazing – I agree with the review that said the sauce is like crack! Hi Bonnie, You could…but I prefer to roast it in the oven so the skin gets crispy. This recipe is amazing! I wish I had the gumption to make it more often. To top it off somehow I convinced my daughter to prepare it. Win-win! I made this for dinner Sunday and received raves from my husband and daughter. I am considered a great cook so they expect good food, but we all thought this dish was truly delicious (and very easy to make)! I love your site and have referred many friends! Thanks, Jenn! I use slightly different recipe for the chicken (my rub is very similar, but we do it beer can style), but I felt obligated to rate your green sauce. It is perfect. We like spicy, so I keep all the seeds and ribs. My boyfriend calls it “magic sauce” and wants to eat it on everything. This recipe sounds delicious. I do not like cilantro, can you suggest a substitution? Hi Debby, You can use Italian parsley. I think the recipe is good and seems authentic. I bet this kind of recipe is at least 2000 years old passed on generation after generation. I find it hard to believe that your others reviewers out there are commenting that they want to change it by using basil or something instead. Why don’t we just make chicken noodle soup and leave out the noodles meaning that Cilantro is central to this dish. Try it first before you change an authentic recipe and Americanize it into obscurity. If you don’t like Cilantro you probably don’t like mint either. They’re related. Parsley would be ok. Do you like Mexican Oregano? How about Rosemary, Thyme, Sage? Sounds like a song I know. I personally hate mint but I love Cilantro. You can’t have real Peruvian flavor without Cilantro. Made this last night with chicken thighs on the grill. AWESOME! Everyone gave it rave reviews. Kids thought the sauce was a little too “spicy” with the quantity of raw garlic so I will reduce in their version of the sauce next time. I had already excluded the jalapenos from theirs. I discovered your site a few months ago while looking for kabobs, which I made along with the Basmati Pilaf. Wow! This though is just over the top delicious! I make extra green sauce mainly to use as a salad dressing (sweet kale salad combo from Costco). We recently went to DC and tried the chicken at Sardi’s….well, yours is wayyyyy tastier. I don’t think I’ll ever use any other recipe. Thank you very much for sharing all these wonderful recipes! I’ve tried many of them and they all came out perfect! Love Love this recipe!! I don’t even like roasted chicken, but definitely loved this one. It had so much flavor unlike other roasted chickens. I recommend cutting the green sauce in half it makes a lot but definitely worth it. I am really enjoying your recipes. I also appreciate the information about the different types of whole chickens. I have often wondered, but never asked. I wondered if I could roast leg quarters using this recipe? My concern is putting it on a rack, and also with cooking times. Thank you so much for your time and sharing your talent. Hi Doreen, So glad you are enjoying the recipes! Leg quarters will work beautifully for this recipe. If you have an oven-proof cooling rack, I’d put them on that (it really helps the skin crisp up all over) but if not don’t worry about it — you can just bake them right on a sheet pan. If I don’t have a roasting pan how would you suggest I roast the chicken. Is it possible to roast the chicken without a roasting rack or pan. Hi Erica, Yes it’s possible but without a rack the skin won’t crisp up underneath the bird. Doubled the marinade and marinated pounded boneless chicken breasts in it for 4 hours. Then grilled the chicken. Amazing! My guests loved it. If you only save this recipe for the sauce, you will NOT be disappointed. Cilantro can tend to be overpowering to many, but this recipe really does it justice! In fact, some folks have asked me what the great flavor is? So versatile. You HAVE to try this. It is my favorite go-to sauce! This is my go-to chicken recipe! This is totally outrageously delicious! The green sauce is more addictive than heroin and it goes with SO many dishes. EVERYONE I have served this to absolutely raved about it. Would give 50 stars if I could. Thank you SO much, Jenn! Nice green sauce, added moisture if any of the pieces of chicken were cooked more than some. My kosher salt is big crystals. Does it need to be ground ? Hi Sandy, It doesn’t need to be ground — use it as is. In the picture showing the marinade ingredients in the mini food processor, what is the white stuff in the upper left? I made this again last weekend and did it with chicken pieces on the grill. OMG. It was outrageous. It is toe-to-toe with the honey, lime, sriracha chicken. The green sauce is wonderful. I don’t like cilantro and substituted Italian flat leaf parsley and a few basil leaves. Delicious. We used sauce over grilled salmon the next day too, fab. Maybe greek style with lemon instead of the lime and fresh mint? And perhaps a wee bit of fresh dill? This is an execellent recipe . I really like many of your recipes . I cook this all the time and is always a hit . I serve this recipe with Oven baked saffron rice . As I am a beginning cook, it took me ages to make this roast chicken dish. I had started with a chicken the size of a pony that my dad’s farming friends in Lac la Biche had provided. This chicken was frozen like an iceberg in my freezer all winter until the moment of discovery last week when I took it out. I put it on the counter for a day but it didn’t seem to be thawed. I was afraid we would get food poisoning thawing out the bird for days on end on the kitchen counter so I put it in the fridge. I had to do other stuff and did not get around to the bird until days later. Then I wanted to make the marinade. I did not have cumin, paprika or oregano in the house. My mum gave me the cumin and paprika (she has ten million spices at her place) and I bought the oregano plus the other ingredients for the marinade plus the sauce. Finally I had the marinade made and I put the bird in the fridge overnight yesterday. It was roasting day today. I did it. The chicken was beautiful but the dipping sauce was extra hot. I didn’t follow your good advice about deseeding. As a result we have fairly hot dipping sauce. I thought this was a very good recipe. I will use the left over chicken to make a chicken pot pie (without a crust as I don’t know how to make a good pie crust). I would use the rest of the chicken for a chicken soup but no one in the family likes my chicken soup. Actually I am a very bad cook but this recipe was so good that the chicken was eaten. Although older boy said he preferred Sobey’s rotisserie chicken, younger boy who is a picky eater, ate this chicken. I will make it again but this time I will use less chilli for the dipping sauce. If you have a good chicken pot pie recipe, I’d love to try it. The Peruvian chicken looks delicious , but the recipe don’t say amount of the ingredients. Hi Nelly, Click on the recipe tab at the top of the post or scroll all the way down beneath the step-by-step photos. Delicious! It was also family friendly. The kids really enjoyed the green sauce with the chicken. What a wonderful recipe! I followed it completely – no changes. 🙂 I served the Peruvian Chicken as suggested by you: Mexican Pilaf with a side of your French Green Beans. The Green Sauce that went with the chicken was delicious! These are the first three recipes I have ever followed from your website, and I am super impressed! Thank you for your terrific work. Looking forward to trying some of your amazing looking desserts. 🙂 Bisous from Belgium! This recipe is absolutely perfect. I followed all of the instructions exactly, but I used the rotisserie of my grill to cut the chickens (double the recipe). The results were fantastic and better than the abundance of Peruvian restaurants in the northern Virginia area. Your family will beg you to cook this dish frequently. Thank you for posting!!! I really, really like this recipe. I used cut up, bone-in chicken parts so it’s easier to cook and they turned out very well. Super tasty! I’m not a fan of chicken breast because to me it’s dry when cooked but it came out moist. I can’t remember how long I had it in the oven because I really wanted the inside to be done and not bloody. The sauce is great also. I only added a bit of jalapeño because I was afraid it will be too spicy but I’ll definitely add more next time. We bbq this and it was off the charts good. We did an oxacan corn on the grill as a side and a chiptole ceasar salad. I must admit that the green sauce was worthy of licking the plate. This is really a great recipe. I prepared this recipe last night and it’s delicious. The green sauce is so tasty. It remains me a sauce that we cook in the Canary Islands called MOJO cilantro. Thank you much for the recipe. Tried this recipe. It was so easy and tasty! I think I’m going to invest in a rotisserie and I think this recipe would be enhanced even further by that. LOVED the green sauce. I subbed plain Greek yogurt for the sour cream and it worked out great! Your recipes are making me look like a star! I made this chicken exactly as stated in the recipe and my husband and I were salivating while the meat was roasting in the oven. The chicken was great on it’s own but the green sauce took it over the top. We’re so looking forward to the leftovers tonight. Thanks for another delish dish! I made just the green sauce last week and have been eating it on EVERYTHING. Burritos, eggs, toast, roasted veggies, veggie burgers, tortilla chips…it is so addicting! I cannot say enough about this recipe, especially the green sauce. You will be the talk of the party with this one. Bonus: you can use that green sauce on just about anything! I tried this recipe with a pair of chickens cooked on a rotisserie on the bbq and it turned out amazing. Since then every time I ask my wife what she would like for dinner she asks for ‘Peruvian chicken with that amazing green sauce’. I make extra chicken (it works really well with bone-in chicken thighs) and green sauce, the sauce makes a great vegetable dip and the chicken is even more flavorful as leftovers. I can’t wait to try more of your recipes! Absolutely love this recipe! And so easy!! Used chicken thighs and worked out great! I love this better than at my local Peruvian restaurant! And the sauce? Oh man! I doubled the marinade recipe because we had two whole chickens. We let the charcoals get to a medium temperature and grilled them vertically for 1.5 hours. Tender to the bone and the skin was crispy. I didn’t use any seeds for the sauce, but the flavors were all there. Served with broccoli and garlic mashed potatoes. I’m preparing rice and fried plantains for tomorrow’s chicken. I can’t wait to make this for our friends this summer. I’m currently waiting for the chicken as it marinates. My question relates to the cooking method. I can either roast it 1) vertically in a conical thingamajig which looks like a Bundt pan with a cone in in the middle or 2) place it horizontally on a flat rack over a roasting pan. I’m not sure which would provide the best result or whether it matters. I’m leaning towards the horizontal roaster option cause then the marinade would stay inside the bird better during the cooking. Thanks. Hi Stan, Honestly, either way is absolutely fine but the horizontal method is most similar to the method I use. Hope you enjoy it. I was looking for an authentic Peruvian chicken recipe and this was amazing! Thank You!! Hi Jenn! This looks delicious. My husband dislikes spice above the mild level. Is there a way to make this mildly spicy without compensating taste? Yummy! Super good and spicy. Even my kids loved it. I made your Peruvian chicken with green sauce the other night. It was so simple and absolutely amazing. It brought me back to my favorite little Peruvian restaurant in Seattle I used to go to with my husband. I made some crispy potatoes to go with it and dip in the green sauce. So yummy! This is an amazing recipe…so delicious. I used skinless, boneless chicken breasts and marinated them all day. The green sauce is so good. I served it with rice and broccoli. I’ve made it twice in the last two weeks! I have never tried Peruvian chicken before but had 2# of skinless, boneless chicken thighs in the freezer so decided to give it a go. Halved the marinade and marinated overnight. Grilled them and they were super. We don’t like cilantro so substituted parsley but used other Green Sauce ingredients and made a Creamy Chimichurri Sauce which was delish. Today we are having leftovers in sandwiches mixed with sauce. Not sure if I will try the whole chicken as the grilled thighs were so good and plan to make them again. This was the first recipe I made from your website and it got me so hooked on your recipes that you have been my “go to” site for months since then. That green sauce just makes it. I have made this a bunch of times since then. Most recently I turned it into “green wings” for St. Patrick’s day by using the same exact marinade with chicken wings and then tossing them in the green sauce. Really really good. In fact everything I have tried from your website has been a winner. Thank you! That sounds amazing, I’m gonna try that! Did you grill the wings first? Bake? OMG this chicken is the absolute best and a family favorite. The sauce is so addicting. Thanks for all the great recipes…all have been great! I substituted with Pheasant and it was fabulous. The green sauce is out of this world! Delicious! Make extra green sauce to have on hand for dipping just about anything. We eat a lot of poultry at our house so i am always on the hunt for new and interesting ways to make it. I decided to give this recipe a try and it is a winner! The chicken is full of flavor and delicious on its own but when you add the green sauce it is divine! I was looking for an easy roast chicken recipe that strayed from my usual butter and herb roast chicken that I make. The chicken was so flavorful and moist and I loved how the flavors were so bright and “popped” in your mouth. The sauce was just awesome. I paired this meal with some simple rice of diced ham, onions, and edamame ( it was all I had in hand) and my husband loved it so much he has this dish on his “favorite dinners” list. Because we are only two people, we of course, had leftovers and I decided to do my take on the Cuban sandwich the next day using this chicken and the green sauce. My husband is not a fan of mustard and plain mayo so I used the green sauce like the mustard and mayo, spread it on both pieces of bread, layered ham over it, chopped up the chicken (delicious skin included), added Swiss and placed it in my panini grill. It was absolutely delicious. This recipe served 2 meals for us and I am so happy I found it on your site! Thank you! This has been one of my favorites. After visiting a peruvian restaurant in NY I was really looking for a recipe to make peruvian chicken when one of my friends came upon this site. 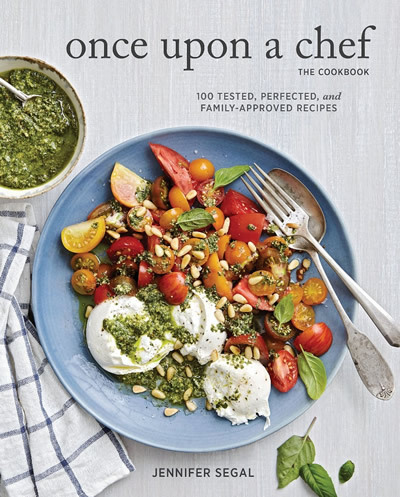 Since then I have been hooked to onceuponachef.com. I have shared this site with numerous friends and many have come back to thank me. I tell them to thank Jenn. Every recipe I have tried has been fabulous. This is one of my favorite recipes…..ever! The sauce is super tasty and without using any seeds not spicy and perfect for my young not spicy loving kids. The chicken is super flavorful and taste even better the next day. I always double the recipe because everyone always asks for seconds! This was the most flavorful chicken I have had in a long time! The only thing I might change is to make half the sauce next time, as I had quite a bit left over. This is a keeper. I used a cut up chicken and grilled instead of roasting (finally nice out!). Marinated the chicken overnight and made the green sauce last night too. Sauce was really good on grilled red potatoes too. Awesome chicken recipe. Made this for a “Quess who’s coming for dinner” party. So many raves, the rest of the church wanted the recipe!! Jenn! Thank you so much for this recipe! Absolutely a favorite. Made it for my daughter’s birthday party and it was a tremendous hit! I am on your website for all my recipe needs and for a novice cook it has never let me down! Thanks again! Hi. Thank you for this recipe. I’m a new cook with zero imagination when it comes to food combining. I would like to make this roast chicken recipe for my husband. Can you suggest carb and vegetables sides to go with this roast chicken? Hi Jackie, I love it with my Mexican Rice Pilaf and French Green Beans with Shallots. Thank you for the quick response. I will try the whole menu. This recipe is the BOMB.com! I made an 8 pound roaster so I doubled everything. With the high heat method it took about 2+ hours to roast. And the green sauce is AMAZING! Double that too and am so happy I did. FANTASTIC on chips alone. Served with pinto beans seasoned w/garlic powder, cumin and oregano, brown rice, fried plantains and whole wheat tortillas on the side. Can’t wait till spring/summer so I can do this on the charcoal grill! I have already reviewed the recipes…. Just an update…I fixed the Peruvian chicken,black bean salad with chipolte honey dressing for our supper club…six foodies trying hard to impress…I added a corn pudding, and fixed Jen’s margaritas with a warm spicy cheese dip….my guests, all wonderful cooks, went CRAZY… The best review came when a girl leaned in and whispered…IHATE you:):):) This dinner was a smash hit….many,many thanks! I’ve made this chicken several times- it’s amazing! Tonight was the first time that I used the left over bones to make stock. Possibly the best chicken stock I’ve ever had. Thanks for all the great recipes, Jenn!! Silly question but how do you make stock from the bones? I made this for the 1st time this past weekend — had some friends over for game night. This recipe is great. I marinated the chicken (did a whole chicken cut up and then some thighs because we love dark meat) overnight. As far as the marinade, the only thing I subbed was the paprika for smoked paprika (all I had). I cooked the chicken for probably a total of 45 min., (20 min on 425) and it was just right. The sauce is awesome. I did use half jalapenos and half serranos. The sauce was popular even with my fiance who thinks mayo is gross (he tried it before he knew what was in it & said YUM). Also makes great leftovers. We sort of made burritos with the leftover meat, rice, sauce, etc. We are thinking we’ll use the leftover sauce for some shrimp or white fish. Great recipe. So glad I finally tried it….. thanks!!! Peruvian-Style Roast Chicken with Green Sauce. Holy Cow this is a Great recipe. Thanks to you Jenn. Keep up the great work! Tim, Brisbane Australia. Thank you so much for your well written and easy to follow recipes, they are always a winner!! Good site! Concise, simple enough for any level cook. Like the choices of weekly recipes. I’ve made this 3 time,s once with a whole chicken, twice with bone in, skin on breasts. It was better with the breasts for me because it was hard to get the marinade down under the skin of the thigh/leg. I’ve also made it with a lower fat version of the aji and it was just as good (low fat mayo, fat free greek yogurt, 1tb less of olive oil). My Peruvian husband approves, really is as close as I’ve ever been able to get to the real thing! I thought there was supposed to be soy sauce in Peruvian pollo a la brasa? I was pressed for time and was unable to marinade for any length of time and yet the chicken was still delicious! This recipe is a keeper! LOVE this recipe. I use the chicken marinade on tofu and the green sauce is amazing. Loved every bit of this recipe! Wondering if this can be made with a whole skinless chicken? Can you cook this on a rotisserie over charcoal? Hi Leonard, Yes, I’m sure that would be delicious. This chicken is so amazingly good. My sis made it and omitted the pepper seeds (for her kids) and later regretted it, everything balances out and the flavors are amazing. This Peruvian style roast chicken with green sauce is superb! Excellent! I’ve made the sauce just to have around. My guests couldn’t stop eating it and now I will make it again and again. Thanks! I’d like to adapt this recipe for either the chicken cut up or use legs/thighs & breasts (w/ skin for marinade purpose). What are the temperature & approximate roasting time changes from the recipe? Any other revisions that should be made? I made this recipe for my mother’s birthday – it was an absolute hit! I paried it with a corn soufflé, avocado salad and a carrot cream cheese cake. The only thing substituted was omit the mayo from the green sauce because we do not like mayo – I just sub it with additional cream cheese. I made this last week and it tastes just like the chicken we get from our local Peruvian resteraunt. I used chicken quarters instead of a whole chicken since there were only two of us. I have made several recipies…peruvian chicken,blackbean and corn salad, and chicken enchaladas….the families response?” Off the chart!” I am serving the salad,chicken,and a corn pudding to my supper club, paired with your margarita recipe…thank you sooo much!! Your blog is a masterpiece! I would say that the green sauce I have had in the Peruvian restaurants I’ve visited used serrano peppers not jalapeños. I can tell the difference. I want to make this for thanksgiving, but I dont have kosher salt. Can I use table salt instead? How much would I have to use? Hi Jen, It’s fine to use regular salt; I’d cut it to 2 teaspoons for the chicken and a heaping 1/4 teaspoon for the sauce. My boyfriend and I usually get chicken from a local Peruvian resteraunt. I made this recipe and it was just as good. I LOVED this chicken, made it twice in one week to share with my boyfriend! The sauce that accompanies the chicken is fantastic!! Turned out extremely delish using exact recipe but with boneless skinless chicken thighs smoked with hickory wood on the grill. Next I will try everything I just named but on a whole turkey. This just might b the recipe for our Thanksgiving bird. Thanks again! Wow. Love this recipe! It was a nice change up to the normal roasted chicken I make 1 -2 times per week. The green sauce was amazing. Do you have to use lime or can you substitute? Allergic to lime but I want to try the recipe looks delicious! Hi Rosalind, Can you have lemon? That would work well. I would like to know if I can use chicken pieces instead of a whole chicken for the Peruvian chicken recipe. I will be cooking for a large group. Hi Renita, Yes, chicken pieces will work just fine. Hope everyone enjoys it! Love this recipe!! I plan on trying it on skinless boneless thighs this weekend for the Kick Off of football season.. Smoking on the grill with hickory wood.. What do u think about that??? Hi Brian, I think skinless boneless thighs on the grill will be delicious. Please come back and let me know how it turns out. Simply delicious…Sauce was to die for…raves from dinner guests…served with roasted plantains, persian rice (had some already made) and your caramelized onions with roasted peppers…(a new favorite of mine as well). Looking forward to leftovers tonight…Thank you ! The Green Sauce is spectacular! I considered making half a recipe the first time, but I’m glad I went ahead and made the full amount. My guests were raving about it and put it on everything. It has become a “must have” with roast chicken. We keep kosher and would like to know what we can substitute for the sour cream in the Green Sauce? P.S. Love your recipes. Please send me more. Hi Betty, You can substitute more mayonnaise for the sour cream; you may just need to add another squeeze of lime juice. Glad you are enjoying the recipes! I have been making a variant of this for years, I just use olive oil instead, no mayo or sour cream and I add parsley too, it’ turns out very creamy as well. The sauce was amazing! We were using the leftover sauce on everything we ate for the next 3 days. Fabulous on a baked sweet potato…. I have a cut up fryer chicken that I want to try this with..how would you adjust the cooking times/temps? Would you cut the breast in half so they cook evenly with the other pieces? Thanks! Hi Lauren, You can definitely use a cut up fryer chicken. I would leave the breast pieces whole so they don’t overcook before the dark meat is done. Made this for dinner tonight and loved it. I enjoyed the spicy sauce with the chicken, but would probably only make a half batch of it next time. Way more than we needed. Definitely a keeper, and will make again. My family does not like cilantro. Tastes like soap to us. Would fresh sage leaves or some other herb work as a substitute ? Hi Susan, You can absolutely substitute other herbs. I probably wouldn’t use sage as it’s very strong, but a mix of basil, mint and parsley would be delicious. I tried this recipe recently and it tasted great. I made exactly as directed and marinated the chicken overnight. It doesn’t taste exactly like the Peruvian chicken i get at my fav restaurant, but tasty nevertheless. I will be making this again with chicken parts and i also want to try grilling the chicken instead of roasting. How long does the green sauce last for in the fridge? Hi Ryan, The green sauce will keep well in the fridge for 4-5 days. four times now. It has become a family favorite. I have doubled the recipe and used the second chicken for tacos. The green sauce is delicious mixed with shredded cabbage as a crunchy topping for the tacos. This was absolutely amazing and will definitely be going into our regular rotation. Seriously I am a huge fan of peruvian chicken and this was the best I have ever eaten. Also: the sauce was incredible! Was looking for a new way to serve whole roasted chicken so I gave this recipe a try for company over the 4th of July holiday weekend. Truly this was a hit! I prepared the chicken the day prior and let it marinade overnight in the refrigerator. I roasted according to directions and the fragrance filled the kitchen – most inviting to our guests. The chicken tasted wonderful both with and without the green sauce. I divided the green sauce into two bowls and added additional hot sauce to one for some who like it extra spicy. I will definitely make this again and several asked for the recipe. REALLY GOOD! This has become one of the staple recipes in our house! When I made this for just my husband and I, I used the same amount of jalapeno stem/ seeds as suggested. With a little guy, we used a bit less but still included some so that it would have at least a little bite! If you’re a little short on time and don’t want to roast the whole chicken, I’ve also found that this recipe is awesome on chicken thighs – cooks faster but has the same great taste! Just make sure whatever cut of meat you use that it has skin on it. I’ll often rub the chicken down in the morning before heading to work, then it just needs to be popped into the oven when I get home! Also, the green sauce is even better the 2nd day, so if you want to make that the night before you won’t be disappointed! Some day I’ll have leftovers from this recipe, but so far, it all disappears in one night! I had a tough day at work and wanted to make something amazing to eat but not too much work and this fit the bill perfectly! I made a few changes but we loved it! I spatchcocked the chicken so it would cook quicker and I cooked it with indirect heat on the grill because it was too warm to turn on the oven. We have a dinner party coming up soon and this will probably be on the menu! Tonight I served it with the Black Bean and Corn Salad with the Chipotle Honey dressing. Wonderful! Thank you! I love your site soo much. I’ve tried many of your recipes. I always looks forward for your emails with new recipes. I am thankful to my friend at church for sharing your site. I have one question. Can I make this recipe in a vertical chicken roaster that you put over the grill like this one? Eileen, I have made several versions of this on the vertical roaster but in the oven, and it comes out beautifully. Can’t see why it wouldn’t also be great on the grill. This dish is FABULOUS. Instead of using a whole chicken I bought the chicken already cut into pieces. It was less work and took less time to cook. As for the green sauce the first time I made it I used Greek yogurt instead of sour cream. The taste and consistency wasn’t right. The next time I made the sauce I followed the recipe as written and it came out great. This is now one of the regular dishes I make in my house. This sounds great, even if it would turn my house into a furnace. Might be worth it. What kinds of sides would match up well with this? I don’t think our normal staple of roast chicken sides would match up with this style. After having this at an authentic Peruvian restaurant, I was blown away and immediately went in search for a recipe. I’m glad I came across yours. This is the first recipe I tried from your site and it made me a believer. I didn’t change a thing and it came out just as what I had at the restaurant. Perfect. This is easily one of the best dinners I make. I’ve made it for my boyfriend and another time for his parents to rave reviews. The sauce is out of control good! We eat it on everything….sandwiches, chips, veggies, salads, rice….. The great thing about the sauce is you can adjust the heat to your liking. It gets really hot with the ribs and seeds from the jalapenos but stays mild if you just put in the green parts. Tip: Use food safe gloves when you cut jalapenos! I made this chicken with Jenn’s Mexican rice recipe and they complemented each other perfectly. I cooked this Peruvian chicken and green sauce for my friends and family dinner and everyone loved it. I liked that the recipe was simple and quick. Love this website she has really good recipes that I can’t wait o try. OMG the chicken was great …..but the green sauce!!!!! My husband had more sauce on his fork than chicken and he ate it all. Today I had to make a double batch and we’re going to put it on fried shrimp! It’s wonderfully versatile and just fabulous! Omg!!! Best chicken recipe ever the green sauce is amazing and it taste good on everything! Made my chicken with an avocado salad and used a little bit of the sauce on my salad. My husband went back for seconds and thirds. Next time I make the sauce I will do as the recipe says and add the seed, I was afraid of the heat and didn’t add a lot from the peppers. It would have been perfect if it was more spicy. This recipe was a hit in my house!!! I made this yesterday, and was worried about the green sauce, as it was flaming hot right after mixing. I was wrong, as after 8 hrs. of mellowing in the fridge, it was a different sauce all together! Honestly, my husband thought the flavor of the chicken and sauce was the best he had ever had. One thing I did add was 1 teas. of cider vinegar to the marinade, as suggested by a neighbor who had lived in Peru. I served this dish along side citrus rice salad and steamed broccoli. Everyone invited asked for the recipe! Made this for my husband and myself, by far the best chicken I’ve ever had. This was my first time roasting a whole chicken, can’t believe how easy it was! The green sauce was a huge hit, and I have shared this recipe with all my coworkers 🙂 Also I appreciate the easy to follow instructions. Thanks! Will definitely be doing this one again. I made your shrimp tacos recipe last night, Yummy! Tonight I’m trying the peruvian chicken recipe. My question is ” will I lose too much of the marinade sauce if we put it on the B-B-Q rotisserie”? Thank you for the excellent recipes! Hi Marta, It should work fine. I hope you enjoy it! Do you think it would work to use FF plain greek yogurt instead of the mayo and sour cream? Hi Ellen, I don’t think it’d be bad, but the mayo rounds out the flavor because it’s not tangy like the sour cream and yogurt. This chicken and sauce are truly amazing! I live part of the year in NYC and have eaten at peruvian restaurants several times (pio pio is one of my favorites), and let me say that I now have no reason to go out to get chicken with green sauce, this recipe was restaurant style without having to leave the house! Definitely a keeper. Putting the sauce between the skin and the meat was key as well as letting it marinade over night. Also, I think packing the cup of cilantro leaves, as opposed to loosely filling it, was key to making the sauce taste great- its amazing how much cilantro can fit in a cup… anyway. Thanks for the recipe! This looks very good. I used to go to a Peruvian place that did a yellow creamy sauce with raw onions in it. It was really addictive and would love to find out how to make it. Any ideas? Jesse, My guess is that it was a garlic mayonnaise. Try garlic, mayo, chopped onions and a little lemon juice. Peruvians use yellow peppers called Aji Panca. I made this for the people I cook for, I got a special phone call saying this dish was “off the charts” !! I rarely duplicate recipes from week to week but this one is definitely a keeper. I served it with a solerito salad to start and made plain basmati rice and steamed broccoli.This was awesome!! Another rave review on this one! Absolutely loved it. Should have listened to your statement about using half the jalapeno seeds for a medium hot sauce. I figured that I liked things hot and upped the seeds to at least three-quarters, OUCH! I will scale that back a tad next time, LOL! I agree with John that the sauce would make a great dip too. I love this recipe! My husband loves this recipe. The first time I made it we butterflied a whole chicken and then grilled it….it was delicious. I have tried baking the chicken and the flavor is great but it is even better off the grille. This is a five star recipe. One of our favorites, excellent! I made this for Valentine’s Day. It was awesome. I used the sauce on pasta and as a dip. Excellent. I made this and the chicken came out great. However, I couldn’t get my green sauce to look like yours. My sauce was really thick, it had good flavor but it wasn’t solid green. It was more white with green specks. Sounds fantastic. Both the chicken and the green sauce. I just used this recipe to make chicken wings. I was only able to marinate a few hours . The wings were so delicious that my husband wants me to make them for our Super Bowl party! For the green sauce, I substituted greek yogurt for the sour cream and used 1.5 large jalapenos and it was the perfect heat level! I am psyched that I made a double batch of the wings and froze one batch so we can enjoy next weekend with very little prep. The green sauce will not last until then so I will experiment with more yogurt and less mayo to see how it compares! Thanks so much for posting this!! This dish was easy to make and tasted phenomenal. The whole family enjoyed it. I will definitely make this again, especially on a whole chicken. I did thighs and legs for this go around; but I can only imagine a whole chicken like this could only be better! I have made this at least three times since discovering this recipe in September. Each time I have done it with a whole chicken which I have butterflied and roasted in a hooded BBQ. My family love it! Any leftovers I have on toasted sandwiches with the sauce and it is super good!! This would have to be one of my favourite roast recipes! Such an great dish, I used drumsticks and boy o boy did my family love it! The green sauce was just fantastic and I will definitely be using it on its own as a dip. I did up the garlic and used about 6 for the sauce and another bunch for the chicken. It was excellent! I made this with a porcelain vertical roaster with a beer and pineapple juice in the roaster. I am Peruvian, and this recipe is making my mouth water. Thanks for sharing! Hi, the Peruvian chicken places in our area usually have a green sauce and a yellow sauce, which mix great on rice. Any suggestions for a typical Peruvian yellow sauce? Hi I’m peruvian. This yellow sauce is more of a dish then just a sauce. It is called Papa a la Huancaina. It’s a cheese sauce. The name literally translates to Huancayo potato. Huancayo is a province in Peru where te dish supposedly originates from. The sause requires about 9oz of queso fresco,oil,evaporated milk,some garlic cloves, a couple of crackers some salt and of course aji Amarillo paste. You blend them in a blender to make a sauce the consistency or drinkable yogurt maybe a lil thicker and you pour them over boiled potatoes. Finally.. I found this green sauce!.. I can’t wait to make it.. Thank U.. This coast chicken is so beautiful! I’m only now discovering Peruvian cuisine and I love the spices used. Amazingly flavourful. I was going to do this tonight then realized I haven’t got oregano! 🙁 One day I shall be organized enough to have every ingredient for this. This chicken is super yummy! I made roasted potatoes to go with it and everyone loved it! 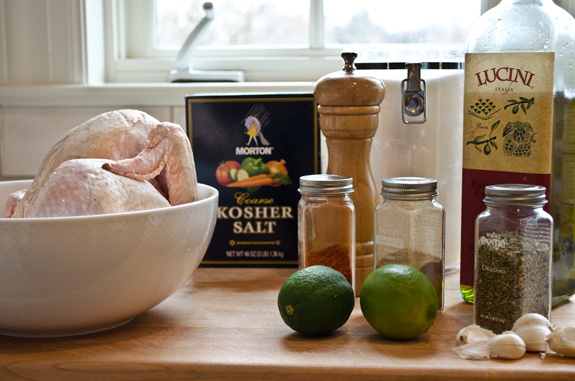 Can I substitute the lemon for lime in the chicken marinade? I completely forgot to buy the limes when I was out. Hi Ashfia, The flavor will be a little different but it will definitely work. Hope you enjoy! This is such a flavorful chicken dish that appeals to adults and children. I have made it on multiple occasions and will say that it does taste best when the chicken has marinated overnight. The green sauce is delicious – but definitely more for the adult palate. Love serving it with roasted potatoes and a green vegetable. I made this for some friends, the flavors are amazing. The green sauce I could use on so many things. I love your site it is always my go to favorite for all different kinds of recipes and inspiration. This recipe is great! The green sauce was a little thin at first, but it thickened up a bit. This recipe will definitely be used again. Great date night recipe. Hi Jennifer, This chicken was so good, super tender, amazing flavour , Crispie on the outside and very tender inside. I have nothing to add to your recipes. Everything I have tried has been so delicious! I’ve made this twice, and what a hit! It’s simple, easy and so delic! This recipe was awesome. The roasted chicken turned out excellent. But the green sauce took it over the top. My 16 yr old drowned his chicken in the sauce. The chicken I used (5 lb) took a little while longer to cook but it was juicy and flavorful. This recipe is a keeper for our family. Keep bringing great family recipes to your site! This chicken is an absolute favorite of my 2 sons. They raved about it, I’ve made it several times, it’s pretty easy to do and the kids love it. Ok this was so good!! Can someone please tell me how to make the green salad dressing they use at peruvian restaurants. Just for those of you who are new to working with jalapenos – if you do not use gloves, your hands may burn for 12 hours. I did not know this, I must have had very spicy jalapenos and my hands were on fire almost all night. I am glad I didn’t touch my eyes. There was no remedy that worked to relieve the pain since the capsaicin had already bound to the pain receptors. Capsaicin apparently mimics actual chemical burns, although it produces no real tissue damage. I also found three jalapenos to be much spicier than New York-style Peruvian green sauce, when I finally worked up the nerve to try the sauce after my hands had cooled off the next day. You must have had some mutant jalapeños! Or, you mistook another variety of chile for them. Or, you are extremely sensitive. I have never had a reaction like that, and I have very sensitive skin. But I have inadvertently rubbed my eye after cutting some, and that was not pleasant. Ate Peruvian chicken in a restaurant in Wheaton, Maryland. Making some today. Peruvian roast chicken, and hens. I know its going to be great. Love it!! I made this today. It was delicious! I butterflied the chicken and cooked it in the BBQ and all my guests had second helpings, Definitely making this one again! I left the cilantro out of the sauce as I didn’t have any, and it was still great. Thanks for your answer. Only n America….getting prompt advice from a bona fide chef and on a Labor Day weekend to boot! I’ll let y’all in on the results. Hi Stanley, Good question. No worries, the chicken will be fine (and full of delicious flavor) if marinated for 2-3 days. Hope you enjoy! We cannot get enough of this recipe. ( We have made it twice in two weeks) I made it with legs and thighs, cooked them at 425 for 25 minutes then grill on the BBQ. Wow! Thanks for an amazing recipe. I’m sure it’s delicious, but in Peru the sauce gets its green color from huacatay, a local herb, not cilantro. Also they use aji peppers instead of jalapenos. That having been said, I think this would be a close substitute and I bet it’s excellent. I subscribed to your blog because of this recipe! I cant wait to make it! I’ve dreamt about this green sauce…. Hi Judy. I don’t know about Glenn, but I sassed my grandmother once when I was little and had a mouth full of soap in about 30 seconds! My suggestion is to cut back on the herbs and spices but don’t leave them out entirely. They’re what gives the dish its pizzaz, not to mention that they ALL have excellent health benefits. Do a search like this, “paprika health benefits,” on all of them, and you’ll understand what I’m saying. Jenn gave us a powerhouse recipe here. BTW, my father’s name was not Zion. He would have loved the Peruvian Chicken except that he would have wanted it about a zillion Scoville Heat Units hotter. @Glenn. Many years ago, when my children were small, they are parents themselves now, I washed their mouths out with soap, to my shame but would probably do it again. They were of course fighting with bad language. My son laughed and my daughter cried. I hope that’s not why you know the taste of soap! I have some skin on and bone in turkey breasts (probably about 4 pounds… you know how big turkey breasts are!) do you think this would work well on those? I need to get them out of my freezer!! Hi Rachel, I do think it will work…the taste will be different but still good for sure. Hi Glenn. Funny thing about taste buds. All the people who don’t like cilantro say the same thing…it tastes like soap. And the people who like it, love it. Almost everyone loves goat cheese, but to me it is disgusting….tastes like goats smell. And I’m not a picky eater. My daughter, the picky eater, loves goat cheese. I seem to remember studying something about this in high school biology class. Do you have a recommended substitution for cilantro? To me, cilantro is particularly unpleasant and tastes like soap. You can guess why I know what soap tastes like :). Hi Glenn, You can use Italian flat leaf parsley and it will still be delicious. We loved the chicken! But the green sauce was FABULOUS. I made it a second time and served it with cold boiled shrimp along side the cocktail sauce. Thank you again Batzion for your advice. Is your father’s name Zion? Judy, if you get limes from your cousin, ask for more than you need for this recipe because you can freeze whole limes and lemons and then grate them (the whole thing) over many dishes such as salads, fish, chicken, veggies — wherever your imagination takes you. I really hope you are able to make this dish because it is spectacular, and you can use whatever sauce you have left over on other things. Thank you for writing kathy d. Have a good weekend. And to everyone else. Thank you for replying. Jen I think I sent you a message that belongs on here. Could you repost it for me? Batzion thank you. I don’t live anywhere near Jerusalem. Not a town for me. Too many frumers. I don’t even go to the market in Tel Aviv. In my supermarket we get ordinary stuff and you should see the prices we are expected to pay for fruit. Almost $40 for a pound of peaches. We should not buy st that price but we do. Years ago tomatoes were sooooo expensive that we did stopbbuying them and they reduced the prices. We should do what Egypt did. When the price of bread went up they rioted. Also years ago. Well we’ll struggle along. My cousin in the north has limes in his garden. I’ll see if I can get from him. Shabbat Shalom. Hi Judy. Have you tried the Shuk (Mahane Yehuda Market) in Jerusalem? They have many fine fruits, vegetables and spices from all over. Usually, you can sample to see if it’s what you want. Israel does have habanero peppers (hotter than jalapeno — you could reduce the amount). They are grown in Moshav Ein Yahav in the Northern Arava but should be available just about anywhere. Also, Israel does grow limes. The most famous are the Jaffa limes which are in demand around the world. I used a blender instead of a food processor, and it worked out fine. Kiryat Ono, Israel. If you know Israel then it’s near Bar Ilan university. Tel Hashomer hospital and not too far from Petah Tikva. Sorry, no I don’t know Israel at all. You must be in a small town, because from what I’ve read, Israel produces all kinds of fruits and vegetables and tons of other delicious things. Jalapeños, I don’t know….but there must be some other kind of medium chili pepper that you can find. Do you have outdoor markets where you live? I can’t get limes in my area. Lemons I presume. Don’t think we have ‘jalapeño’ peppers here. Just ordinary ones. I don’t have a food processor :'( . I hate this country! We should be able to get everything other countries have as long as it’s kosher. Judy, Lemons are fine if you can’t find limes. Just omit the jalapeno and use a pinch of ground cayenne pepper or red pepper flakes. If you don’t have a food processor you can use a blender. Can I leave out the herbs? I’m so not partial to them. Surprise we get hellmans mayo here and I use it. Judy, where do you live? Can you say? This recipe is very good. I have made this several times already and everyone who tries it at my house loves it. The sauce goes really well with the chicken and gives it a nice flavor. Do you think I could do this recipe with chicken quarters with the skin still on? Would I just roast the equivalent weight in chicken quarters and treat it like a whole bird? This is probably a dumb question, but I’ve just begun experimenting with chicken — before this my only experience was with boneless, skinless chicken breasts and thighs. Hi there, Not a dumb question at all! You can definitely do this recipe with bone-in chicken quarters with the skin on — and yes cook time would be about the same if you stick to the same weight. Hope you enjoy it! My husband and I don’t eat cilantro, I’m wondering if parsley would be an ok sub? Hi Sue, Parsley would work just fine. Please come back and let me know how it turns out. Made his twice already and is definitely one of the best chicken recipes I’ve come across! I just purchased a grill and was wondering if you have any tips on grilling the chicken instead of roasting it in the oven. Thanks! We really enjoy this chicken!! A couple months ago, we were having guests over so we decided to do this chicken – 2 of them. At the last minute, some of the guests had to cancel so I cooked one and decided to freeze the other (vacuum sealed). We thawed the chicken yesterday and smoked it last evening in our Weber Kettle using both apple wood and mesquite. It turned out fabulous. The green sauce is great – so good with many other things (had some on my breakfast burrito this morning). Putting the marinade on the chicken and freezing it for later is a time saver for a future meal. Your recipes are always wonderful. Great tip, Jane. Thank you! This chicken and sauce were great! Husband said it’s a keeper. Have you tried this on other meats? There was no good chicken in the market yesterday (everything was skinless) but I have pork! I haven’t but I believe one of my readers tried it with pork and said it was delicious. I just made the marinade and WOW! This stuff is amazing! I can’t wait to taste it with pork (and later with chicken). I really wanna try this, but my husband only eats chicken breast. would this recipe dry this out since your using chicken w its skin still on? Did you also put mayo in the marinade? It looks like that in the pictures. Hi Linda, There is no mayo in the marinade. The mixture looks creamy from the puréed garlic. Can you shallow fry this chicken? Hi Anthony — Yes, that would work fine. Many readers have also grilled it (cut in pieces or butterflied) with excellent results. I am already doing the green sauce and that is my family’s favorite but I have to try this marinade for the chicken !! Made this last night, it was delicious. Even the kids ate it up. Fried some plantains as a side in addition to rice and beans and corn tortillas. Really flavorful chicken even though I marinated it only four hours. I made this the day after it was published – all I can say is YUM again!! There was a lot of sauce left over since the kids didn’t eat very much of it – but I actually found a variety of uses for it – it was very delicious. Again, another winner! I just wanted to add that I use a particular method to cook the chicken, which involves pre-heating the roasting pan (I use a cast iron skillet) in the oven at maximum setting. When the oven is at temperature I place the prepared chicken in the pan and let it roast for 30 minutes. At this point it may be done, but the internal temperature (thickest part of thigh or breast) should be verified at 180° F, so it might take a little longer (10 min. or so). One specification is that the chicken must not be larger than 3 pounds or the method will not work. What this method gives is a crisp skin and very moist breast meat…not to mention the ease of roasting. I made this last night and it was a hit. I’m going to use the extra sauce on tacos this week. If I am using a Roaster chicken 7 pounds should i double marinade. Hi Natasha, Yes, that’s a good idea. We had a lot of green sauce left over and used it all week – as a veggie dip, topping for nachos, etc. The chicken turned out well even though I didn’t have a v-rack and just placed it in the baking dish. I made this chicken a few weeks ago and my entire family loved it. I I made it with roasted potatoes and veggies. I will definitely be making this again! I’ll admit that I did not personally cook this recipe, but my roommate did and it was PERFECT. So juicy and flavorful – we used leftovers for salads, sandwiches, and quesadillas all week! We didn’t have a roasting rack so we elevated the chickens on top of some onions, which were also delicious. The sauce is also incredibly tasty, we have been using it as a salad dressing ever since. This is a great recipe. I served the chicken with garlic rice and fresh green beans. The green sauce is fabulous. Not only is it good with the chicken, but great as a dip with corn chips, spread on a sandwich and as a salad dressing. Made this for a party and it was great. Even used the left over green sauce on tortilla chips, thanks, all recipes have been great. Great recipe! I marinated chicken overnight and made the green sauce today. It turned out to be one of the best Sunday dinners . I roasted purple potatoes with the chicken in the roasting pan . Served frsh green beans on the side .One my best recipes added to my collection. AWESOMENESS!!! I have several friends from Peru and we often lunch at a place called La Polleria! This recipe is so close! I love that I can make it at home! Can’t wait to make it for my friends. We live right down the street from about 4 different peruvian chicken places so I was very curious to try this out and compare it. It turned out SO well. I will still continue going to the local places when time is tight but otherwise, this was fun to make and delicious to eat! I used chicken thighs instead of a whole chicken and it turned out great! I think we found our new favorite chicken recipe!! LOVE the green sauce (I add a small handful of spinach to green it up even more). Oh my goodness, this was off the hook. Just fantastic. I made garlic rice to go with it Got lots of left overs to be creative. I made this for the Oscars and it was wonderful! I served it with Quinoa Pilaf with Corn and Jalapeños from the Best Light Recipe cookbook. The sauce worked great on that as well. Huge hit! My family loves this recipe. The second time I made it I used the marinade on boneless, skinless chicken breasts and grilled them the next day. It was delicious that way too — and less work! Good to know, Amy. One of my friends also tried it with bone-in chicken pieces and she said it came out great. I made this twice, and it was a hit both ways. The first time, I used the original recipe and served it with a mix of Basmati and black rice along with a simple endive, Romaine and red onion salad. The second time, I substituted the cilantro with fresh sweet basil and substituted the jalapeno with crushed red pepper. I tossed the sauce in a quinoa fettucini, Parma prosciutto, spinach and chopped tomato salad. I still have not tried it with shrimp. This is a superb recipe that has no limitations. From all the comments, everyone LOVES this chicken, and the sauce. I made it 2 times in 2 weeks, and just bought another chicken to make it again. The first time I served it with potato wedges, a salad of frisée (I’m in France) and homemade corn tortillas. The second time with homemade flour tortillas, potato wedges, an arugula salad and fried plaintains. Both times it was for guests. They loved it. We ended up putting the chicken and salad and sauce in the tortilla and eating it out of hand. This is one of those ethnic dishes that goes well with other elements from the same general geographical area (Mexico, Central America, Caribbean). What wine or beer would you everyone with this? Hi Kathy, Love your idea to put the chicken in a tortilla and think I may do a variation on this recipe soon for soft chicken tacos. As for a beverage, I think it’d be delicious with a light Mexican beer or crisp white wine, like Sauvignon Blanc or Pinot Grigio. We loved this recipe. It was just as good as the Peruvian restaurants in the Washington DC area. I served it with baked potato wedges and sauteed spinach with garlic. Yummy! My husband and I really loved this. I did reduce the amount of pepper. This chicken was outstanding. I had Meyer lemons so I used them instead of the limes in both the chicken and the sauce. I will definitely try it again with the limes. I will also try grilling the chicken and or roasting it split. I am sure both methods will be delicious. I served it with rice pilaf mixture and a salad. It was very easy to make. I have made your green sauce as a dipping sauce for a variety of chicken many times, and I always get rave reviews. I usually only put one jalapeno pepper and one time I only put in a half of one because my kids don’t like it very spicy and it turned out perfectly! I even used the green sauce instead of mayonnaise on turkey sandwiches for my kids at lunch and they came home from school telling me it was the best sandwich ever! Hi Jen, Love the idea to put the sauce on sandwiches…bet it’d also be delicious on soft chicken tacos. This was fabulous. I have reduced the peppers for my husbands palate. i’ve made this dish three times in the last month. It’s a serious crowd pleaser and pairs well with a fume blanc. So delicious! Thanks so much for this recipe. There are NO Peruvian restaurants within 75 miles of where I live, and this is very close to what I used to get in the Washington, DC area. Thanks again! Another great recipe. The sauce was a hit recipe on it’s own. I also used it to drizzle on shrimp tacos and as a condiment on turkey burgers. We had it last night for dinner. I keep about it….it was so delicious. I made fries to go with it and salad, and home made flour tortillas. My neighbors were here for dinner, and they never put their forks down! Next time I’m going to make some tostones to go with it. The chicken just went into the fridge for tomorrow. Not even cooked and already my mouth is watering. The dipping sauce is made…and tasted…so delicious….a little like a creamy chimichurri. This looks absolutely amazing! I can’t wait to try it! OMG ! Chicken was fabulous , sauce was amazing! Wow! This was awesome, awesome! The chicken was so flavorful apart from the sauce, but the sauce just made it all come together. I served the chicken with plain basmati steamed rice and steamed broccoli which worked really well for drizzling sauce over! Again, thanks so much for helping me feed my family healthy and delicious meals! Made this dinner for the family and it was a big hit! Both the marinade (I saved some to put on plain chicken) and the green sauce were even better the next day. Regarding one of the previous comments, I used tofu mayo for the green sauce and I thought it was quite good. It was not only great with the chicken, but also as a dip for raw cucumber slices. My grandma made this chicken for our family over the weekend. It was very delicious and the side sauce was also very tasteful. Our family couldn’t stop talking about it lol. By the way it was a very easy and quick meal to fix. Thank you Jenn! Hi Vanessa, Not sure I understand your question, but if you’re talking about the marinade you really also need the salt and seasonings to liven it up. Hope that helps! Sorry about that! I meant instead of the actual limes, could I use lime juice from the bottle? Thanks! That makes more sense! Sorry, I should have figured that! Anyway, I’d stick with the fresh limes even though it’s a bit more work — it makes a big difference in this recipe. This chicken was amazing!! The green sauce was delicious and I omitted the cilantro and it still was great!! One of the best dinners! We used Trader Joes chimmichuri rice as a side which was perfect. Thanks Jenn your amazing!! muchas gracias por tus recetas fabulosas !! Hi, trying this recipe on chicken wings for my birthday Saturday. Should I be concerned about the wings not holding the flavor? Can’t wait!!! Hi Martha, As long as you marinate the wings long enough, they should hold the flavor just fine. Please come back and let me know how they come out, and Happy Birthday! This recipe hit my inbox and I immediately knew what I was making for dinner! This was a huge hit with my family last night. You’ve really spiced up our mid-winter blues up her in NH! The chicken looks, in a word, delicious. Concerned about the sauce. Of the few herbs I would never bring into my home, cilantro makes top. Wondering if you might have a suggestion as to what I might be able to substitute for either the cilantro (which I doubt could be done while maintaining the integrity of the dish), or an alternate sauce altogether which would still compliment the bird. If neither come to mind that’s fine, I would understand. Either way, sauce or no sauce, I would love to try the chicken. Hi Mike, No problem…you can substitute parsley in the green sauce. It will still be delicious. Otherwise, you could try serving the chicken with a garlic mayonnaise. This dish looks more than wonderful! About how much green sauce does the recipe make? I think I would be inclined to double the recipe and use it for the leftover chicken (if any) or on a green salad or on a sub or even a bit in a macaroni salad to liven things up. Why not? I bet the green sauce would be good with a shrimp cocktail or boiled shrimp along with red sauce and clarified butter. What a nice presentation that would be. Gosh, that looks so darned good. I can’t wait to make it! Thank you so much for sharing this recipe. The recipe makes quite a bit of green sauce — about 2 cups. We usually have leftovers but it certainly wouldn’t hurt to make extra as it keeps well. I agree that it would be delicious with shrimp. It’s honestly good on anything…sometimes I give it to my kids with romaine spears as a snack. Made this chicken tonight – wonderful! I love the picture of the vein and seeds of the jalapeno. Perfect! This sounds like something we would really want to try. This looks delicious, will be making this very soon. In regards to the green sauce instead of using mayonnaise, what do you think would be a healthier substitute? Greek Yoghurt? Hi Kylie, You could substitute Greek yogurt for the sour cream and maybe use a low fat mayo. There are also Peruvian green sauces made w/o mayo — they aren’t creamy but are very good. 1st I am jealous of the natural light in your kitchen!!!! And the chicken looks and sounds amazing!!! What do you suggest serving with this? This seems like the perfect dish for a dinner party that won’t break the budget! Hi Madeline, It would be perfect for a dinner party. I’d serve it with roasted potato wedges or rice pilaf, along with either my roasted carrots or broccoli. And if you need a starter, check out my tortilla soup. Hope you enjoy! I will be trying this recipe this weekend!! i make a similiar sauce like that one, called Chimuchurri that is great on everthing! !